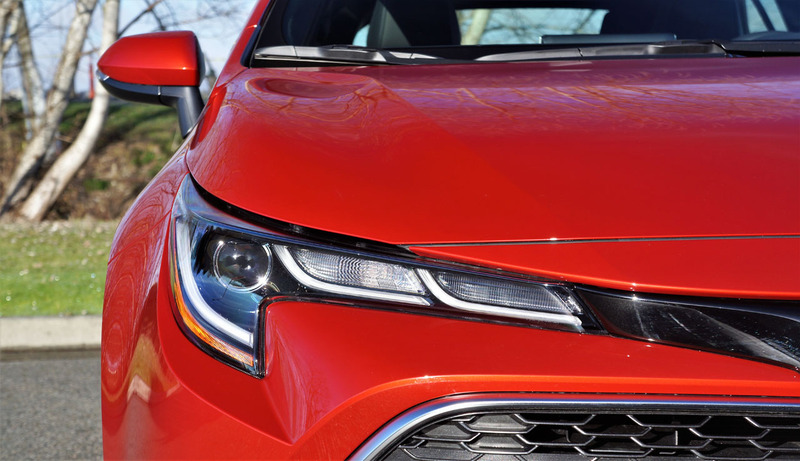 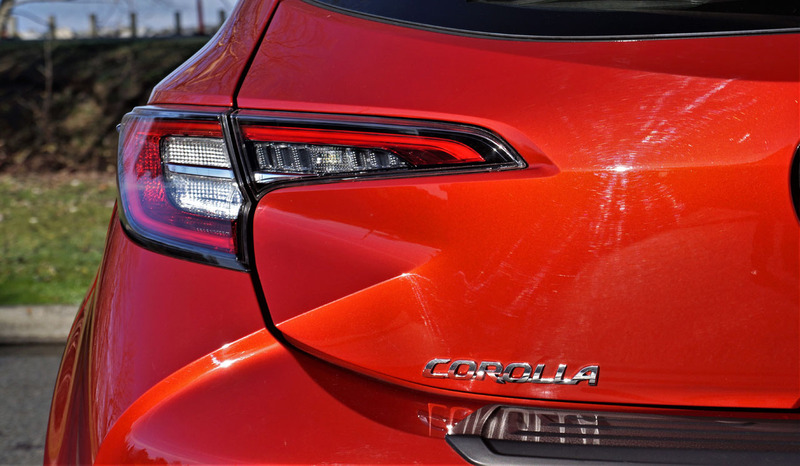 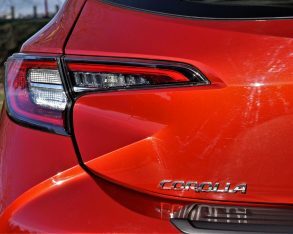 Toyota will give its ever-popular Corolla compact sedan a fresh new face for 2020, but thanks to the all-new 2019 Corolla Hatchback there’s no need to wait. 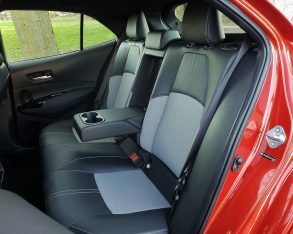 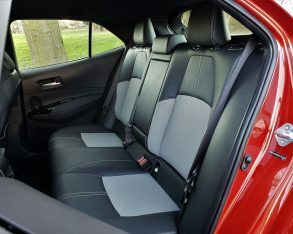 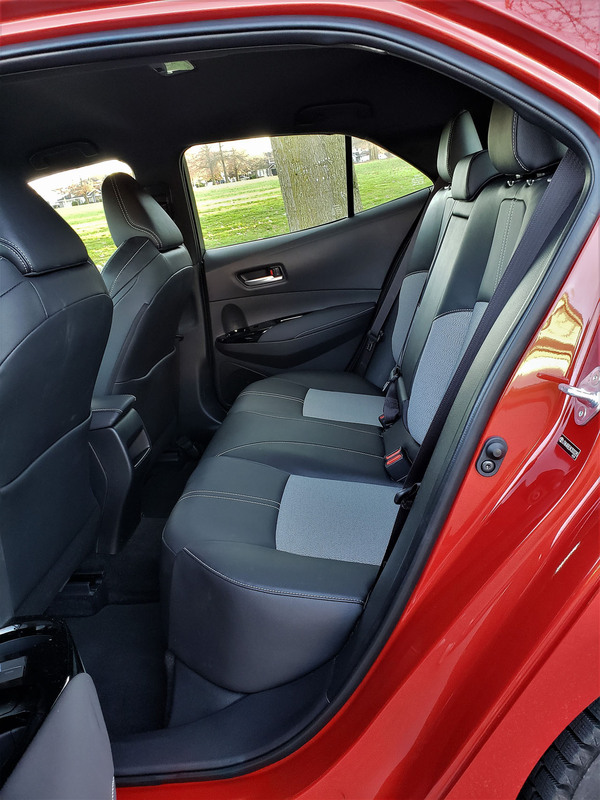 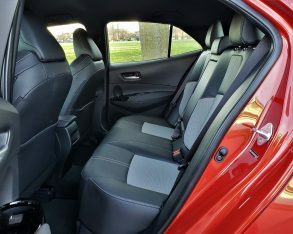 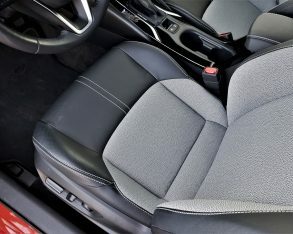 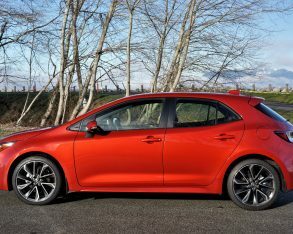 This sporty new five-door variant carries on where the Corolla iM left off, the latter model a superb little car that deserved a lot more attention that it received due to impressive interior quality and adept handling, but alas it struggled from anonymity because it wore a Scion badge. 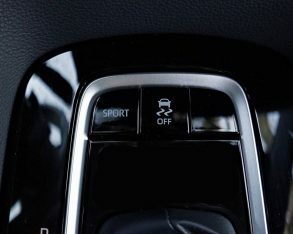 Past brand identity problems aside, the real reason the iM was so good had to do with its European roots. 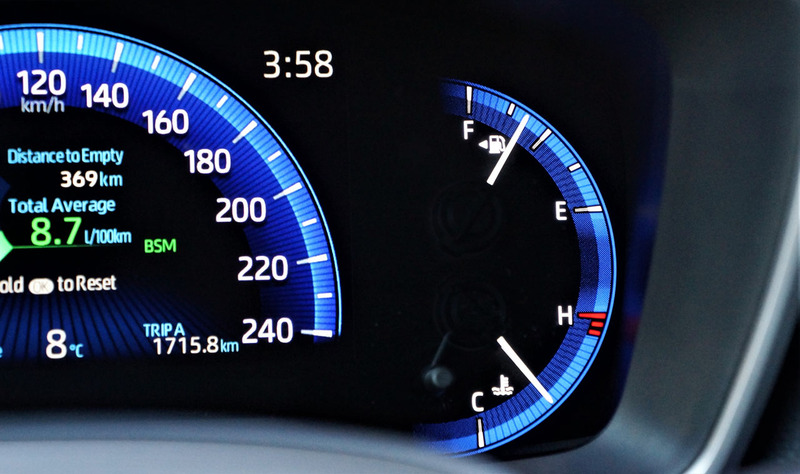 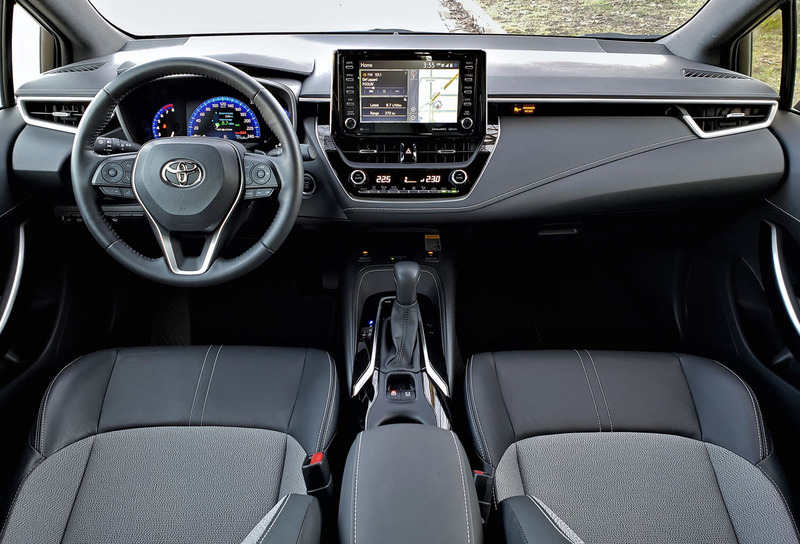 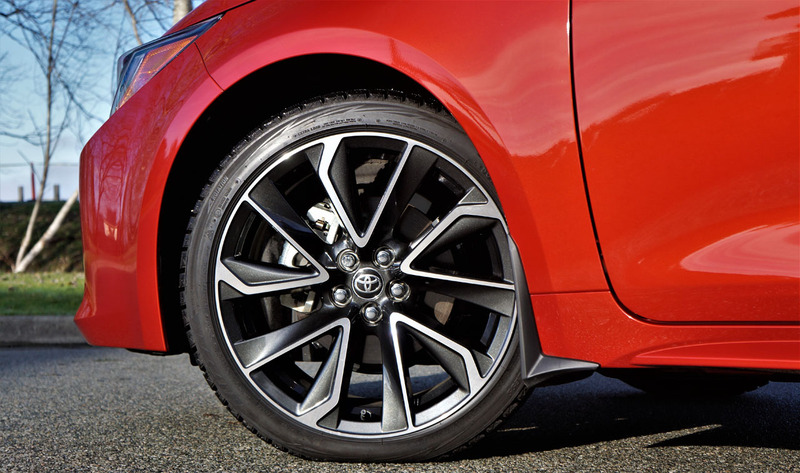 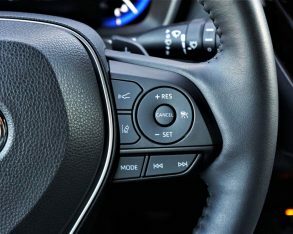 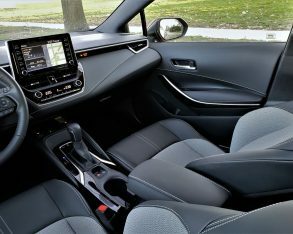 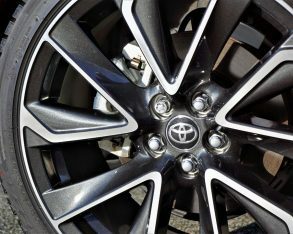 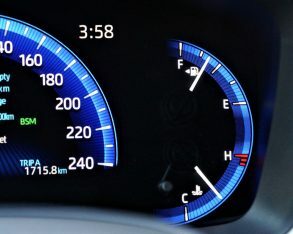 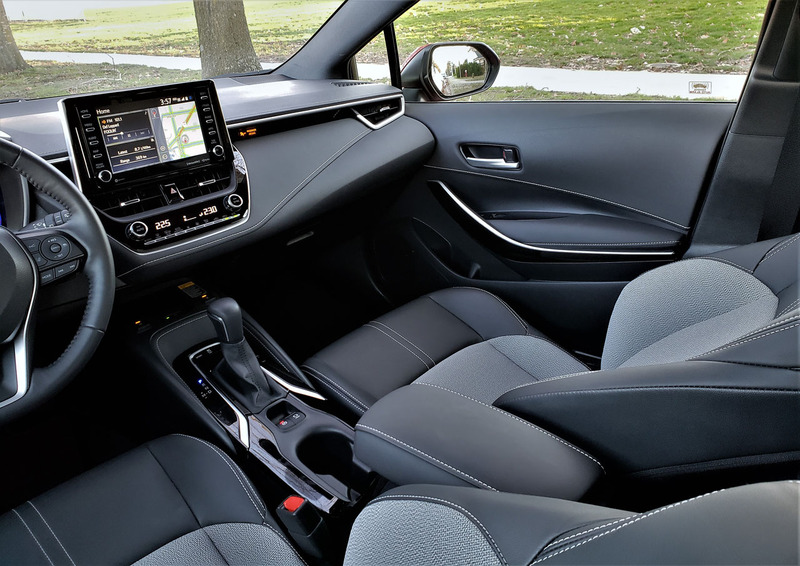 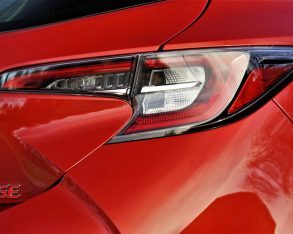 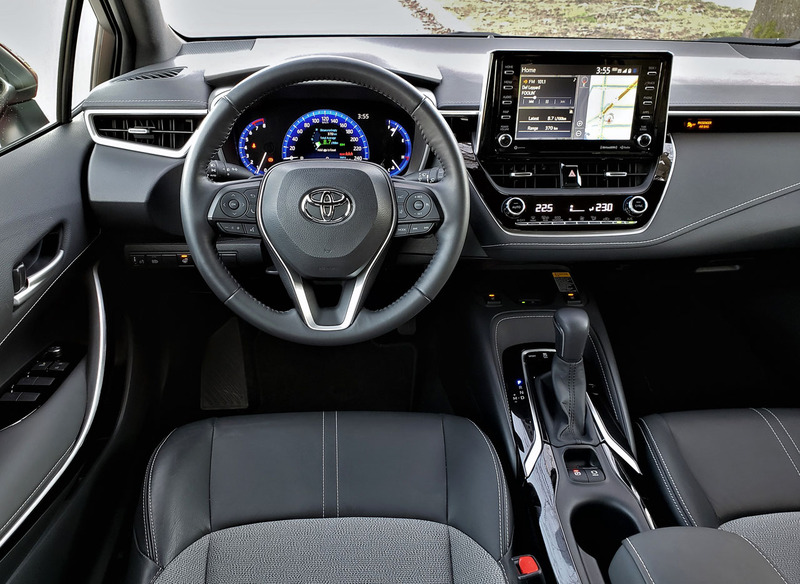 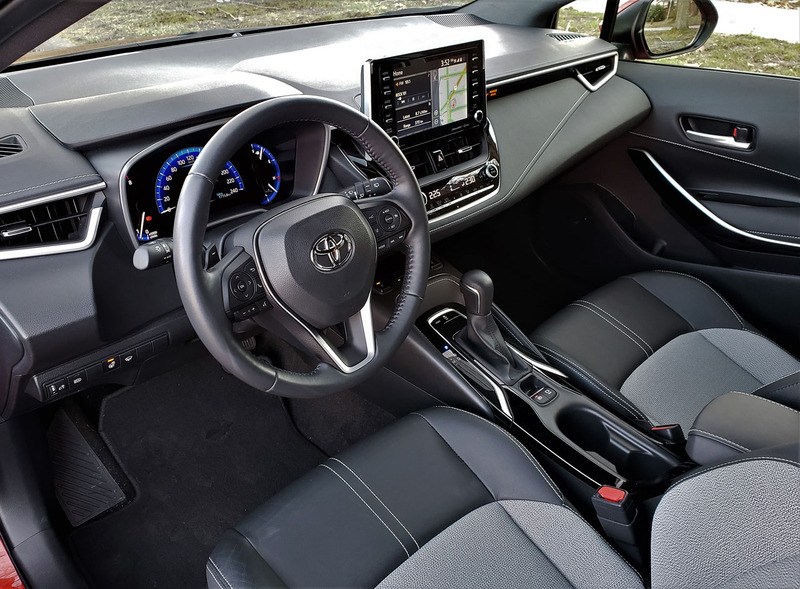 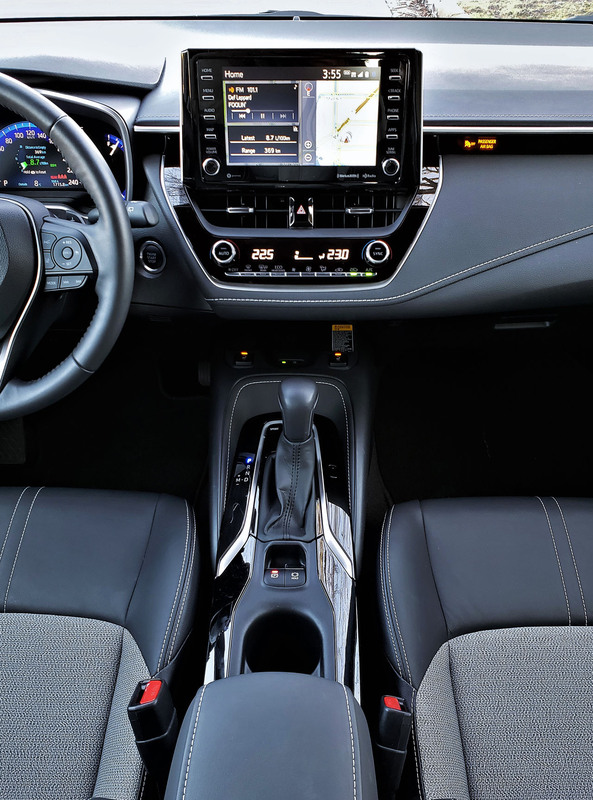 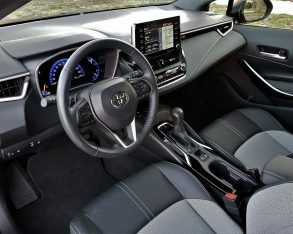 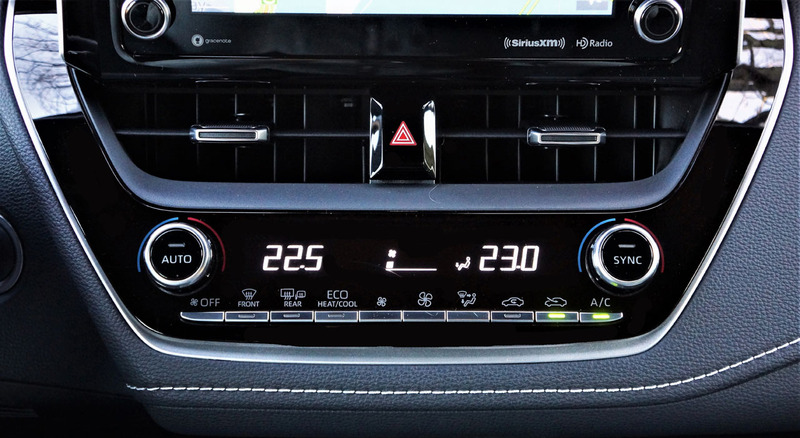 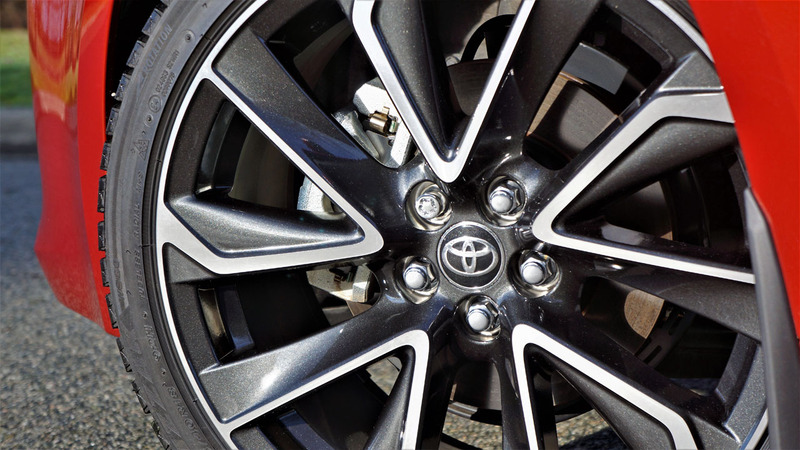 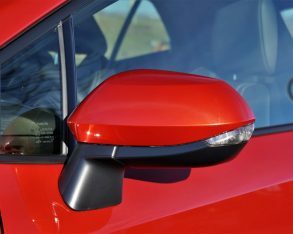 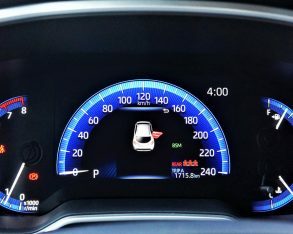 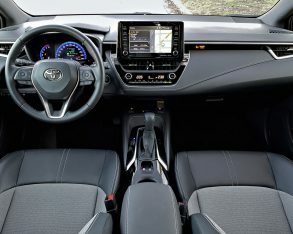 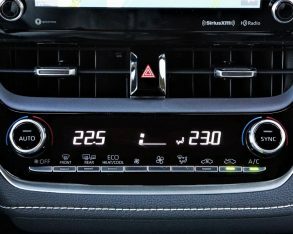 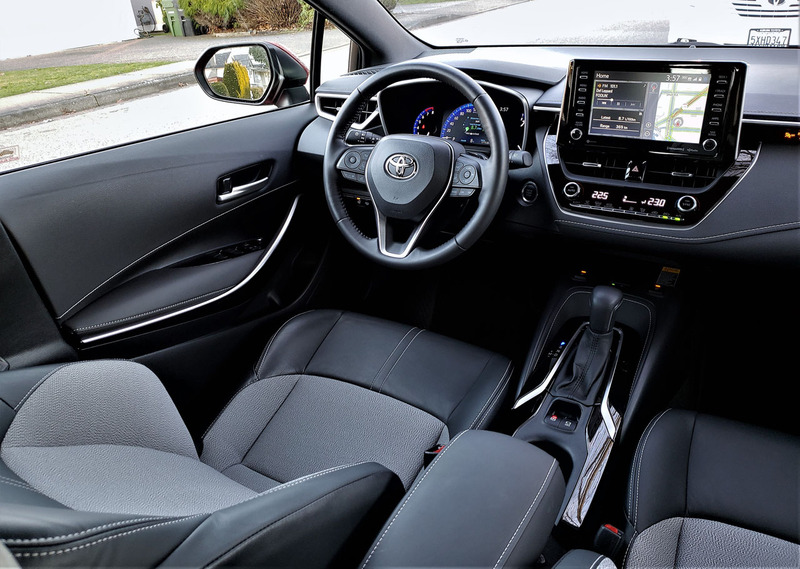 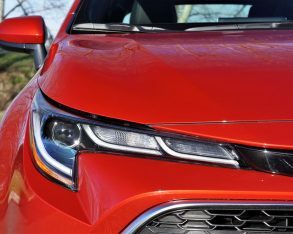 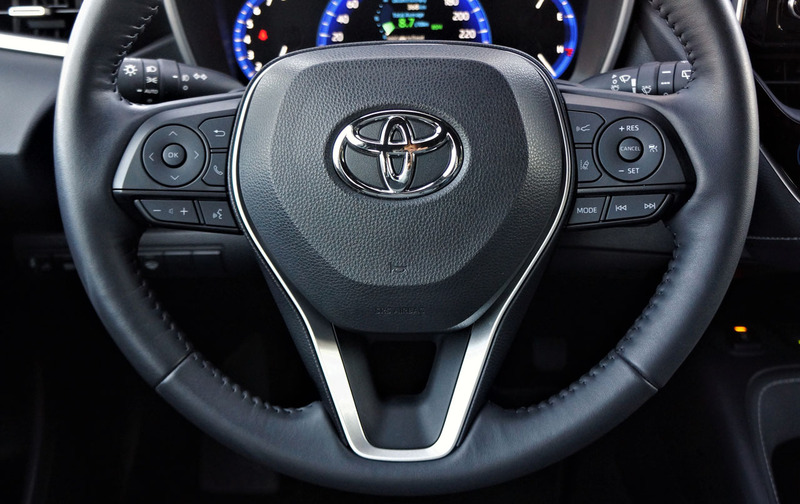 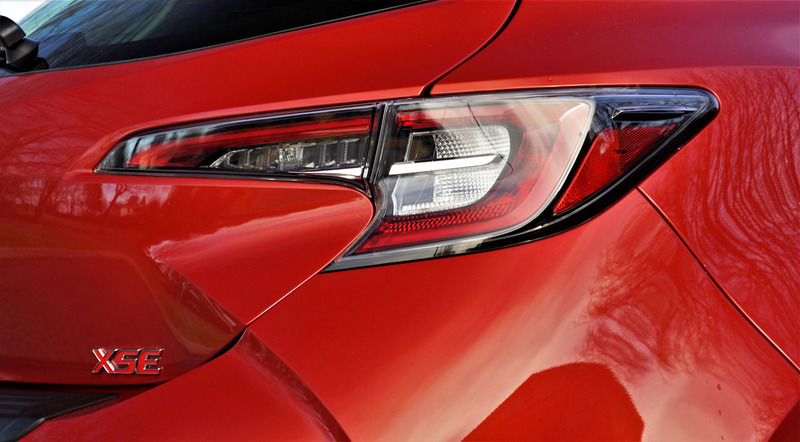 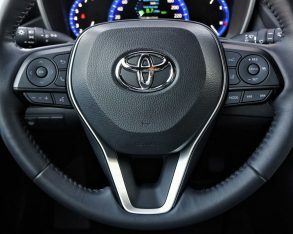 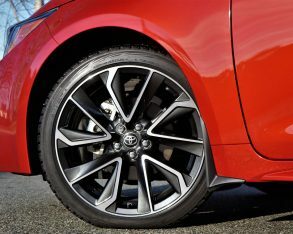 The iM, and now the new Corolla Hatchback, are in fact second- and third-generation Toyota Auris models, their more demanding Euro-target audience making them feel more upscale inside than any previous North American-market Corolla, and causing them to drive with greater focus on performance. 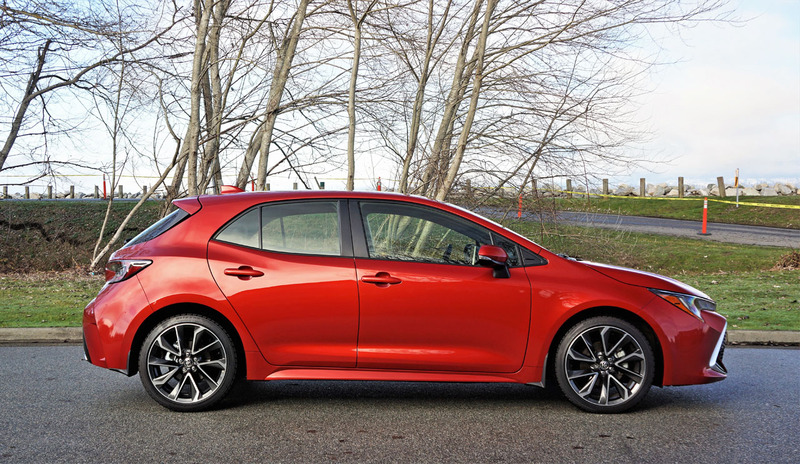 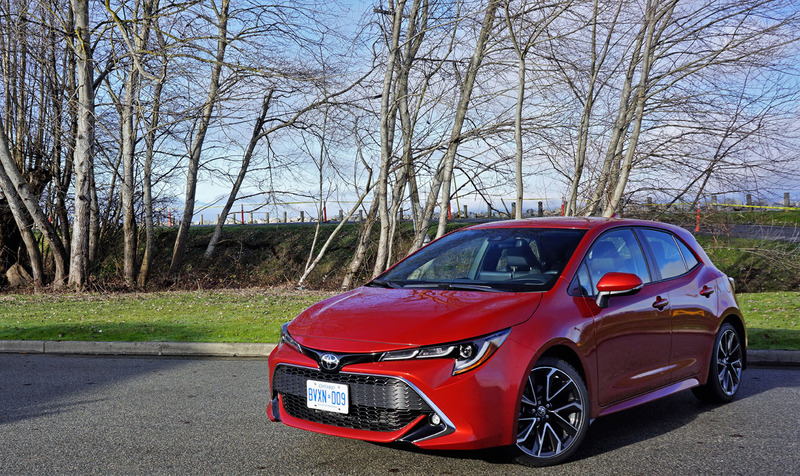 The new Corolla Hatchback offers one engine and two transmission choices. 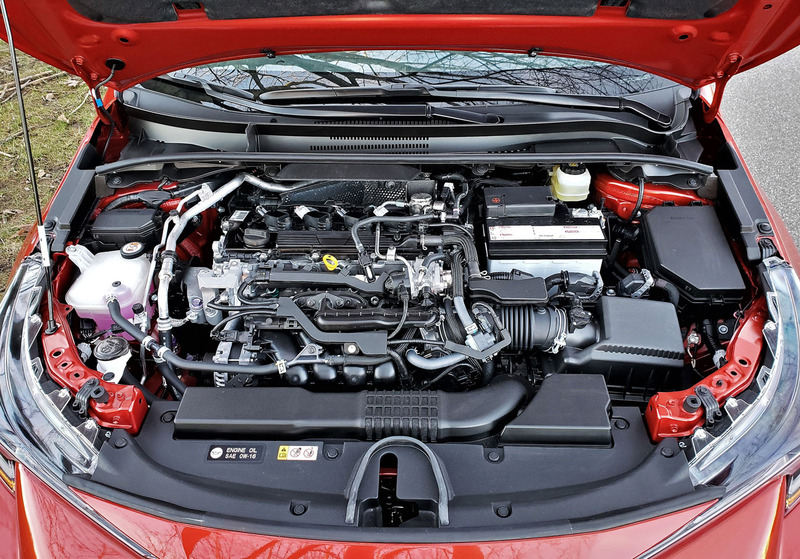 The engine, a direct-injection 2.0-litre four-cylinder, incorporates the usual VVT-i as well as VVT-iE, the former electrically powering the variable valve timing system via the intake cam, and the latter via the exhaust cam, resulting in 168 horsepower and 151 lb-ft of torque, whereas the transmissions include the usual six-speed manual in lower trims and a rather elaborately named alternative dubbed Direct Shift Continuously Variable Transmission (Direct Shift-CVT), which is an automatic CVT boasting a manual mode with 10 forward speeds via Simulated Shift Control. 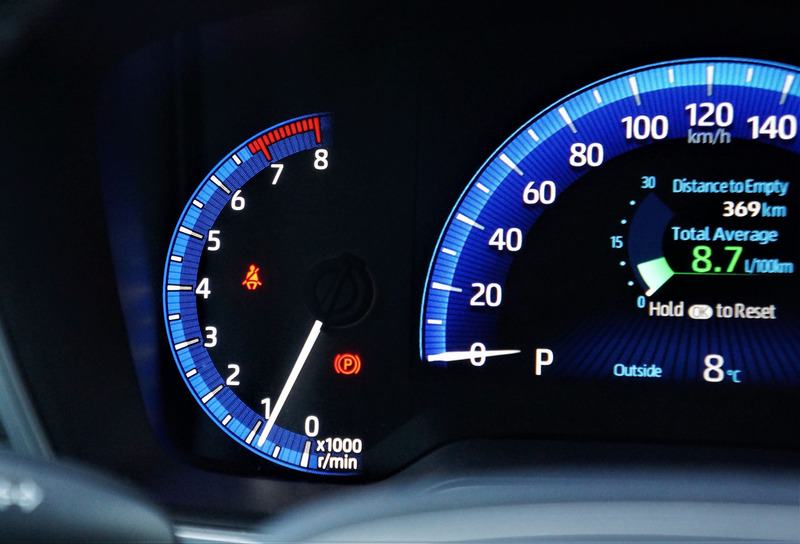 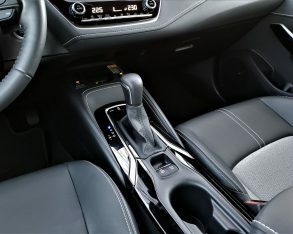 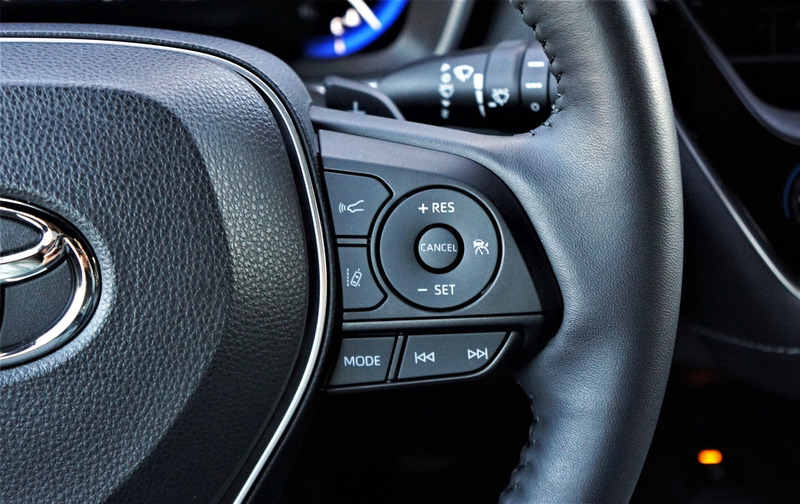 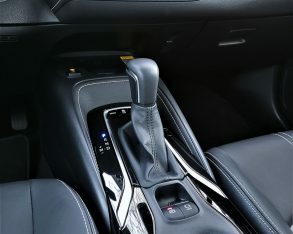 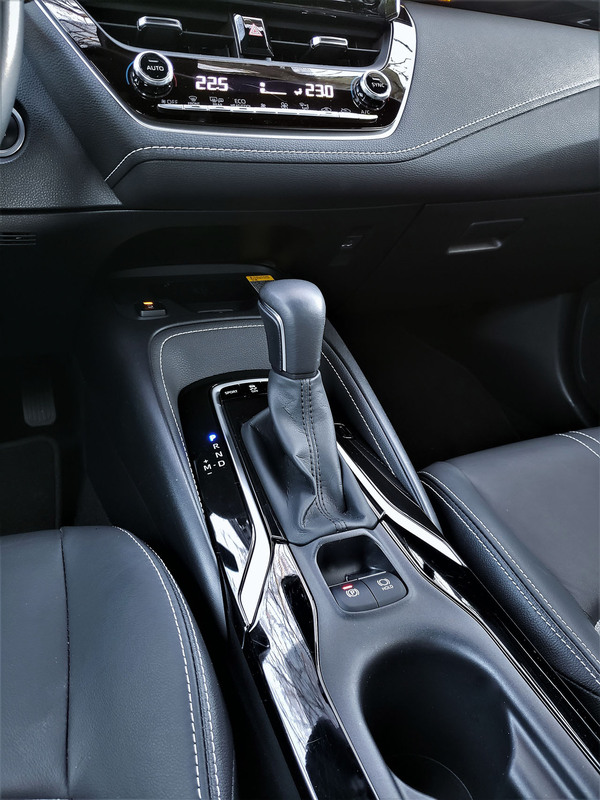 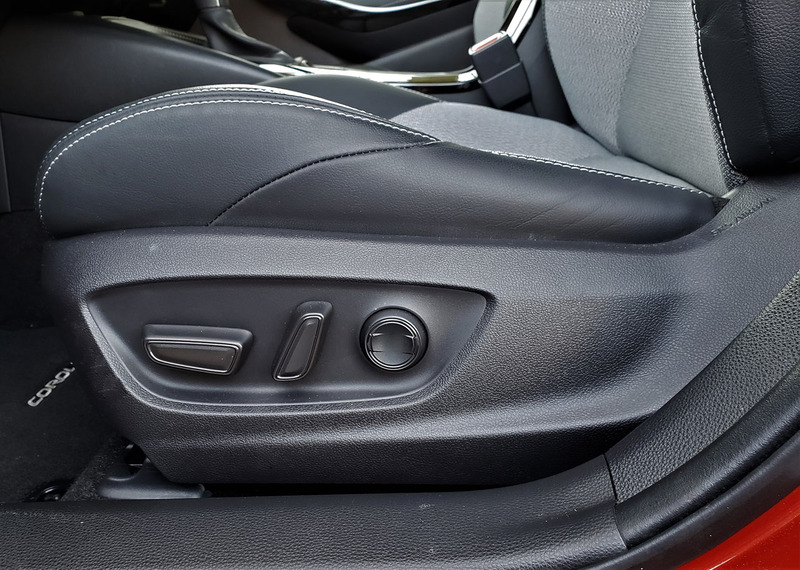 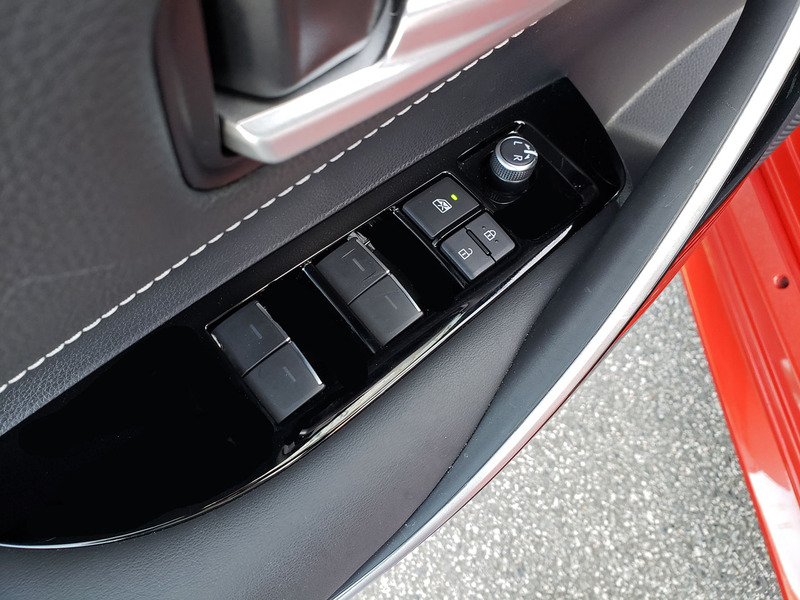 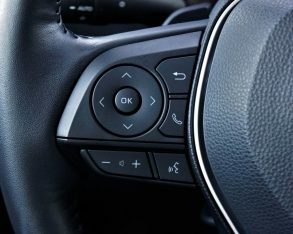 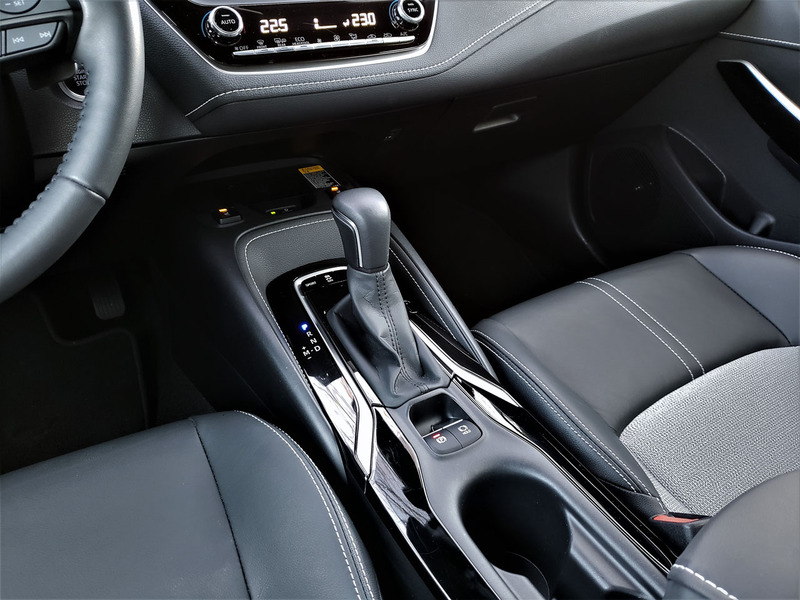 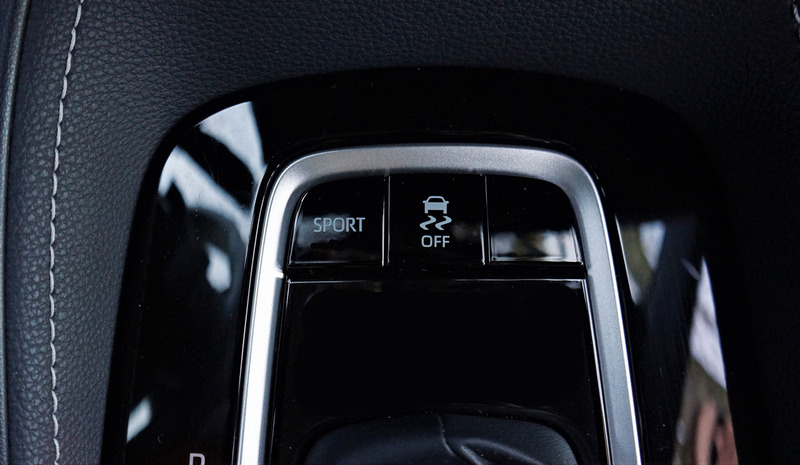 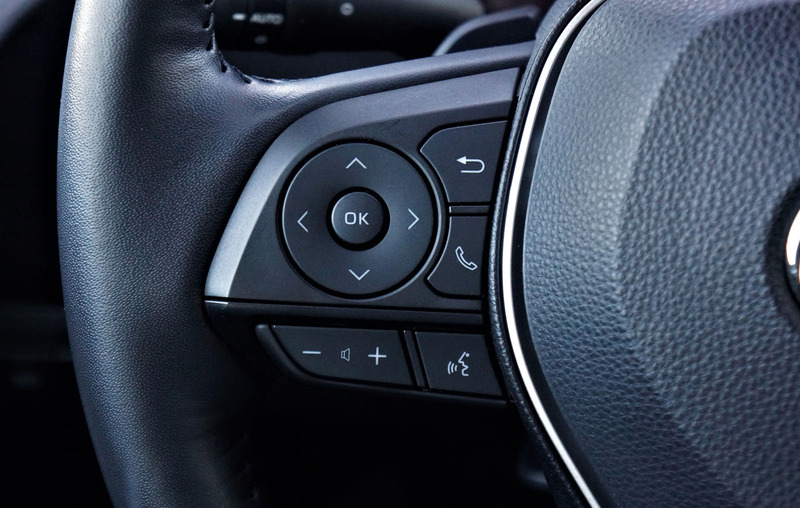 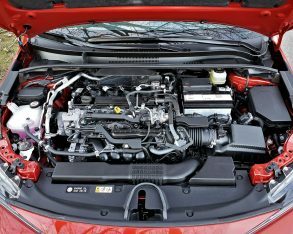 Agreed, it doesn’t sound like an ordinary continuously variable transmission, but does the Direct Shift-CVT live up to the hype of its complex nomenclature? 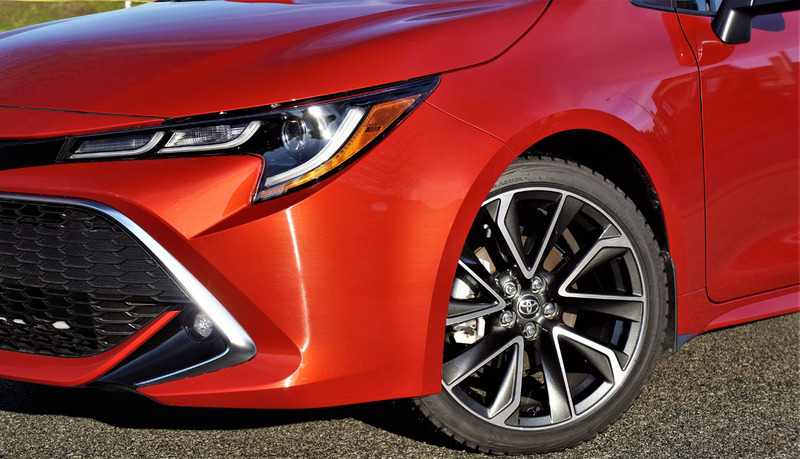 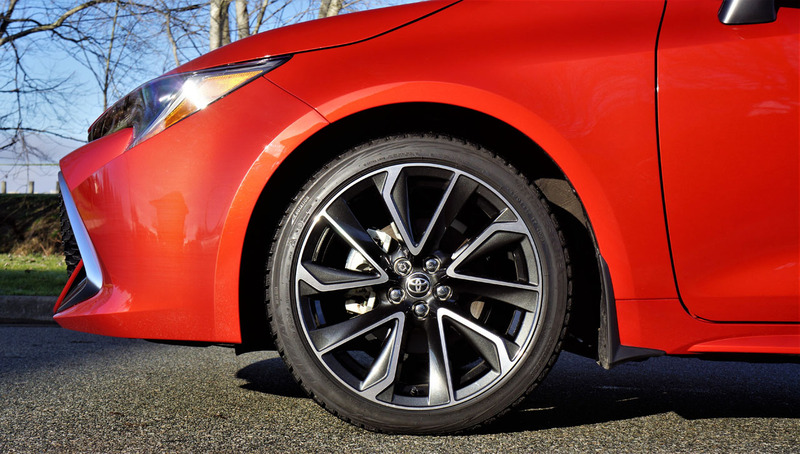 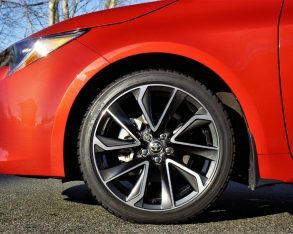 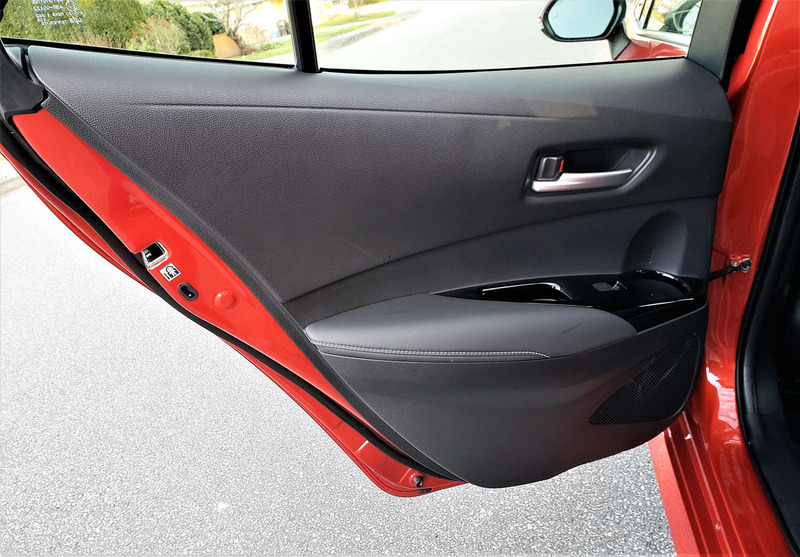 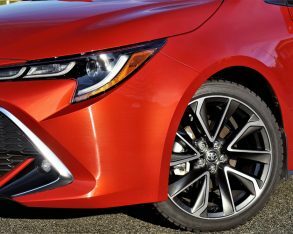 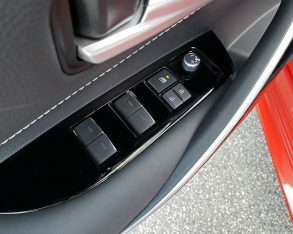 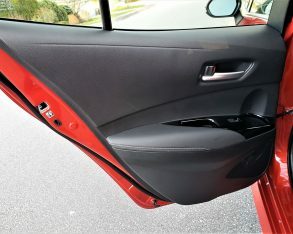 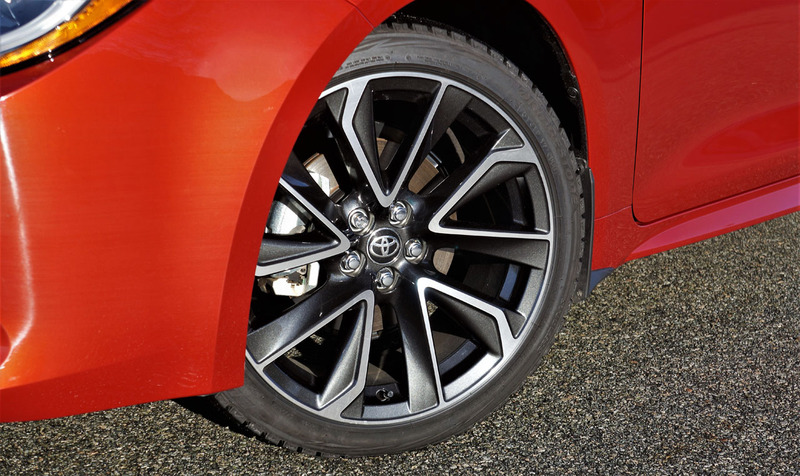 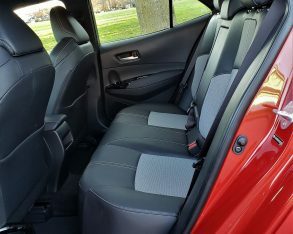 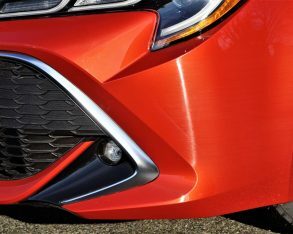 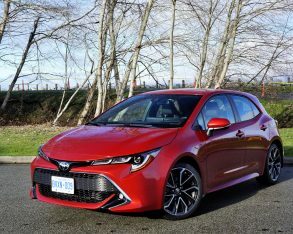 Of course, we’ll tell all in our upcoming road test review, including commentary on ride and handling that should continue to be a highlight with the Corolla Hatchback thanks to a variation of the iM’s independent multi-link rear suspension, the sedan outfitted with a less capable rear twist-beam design. 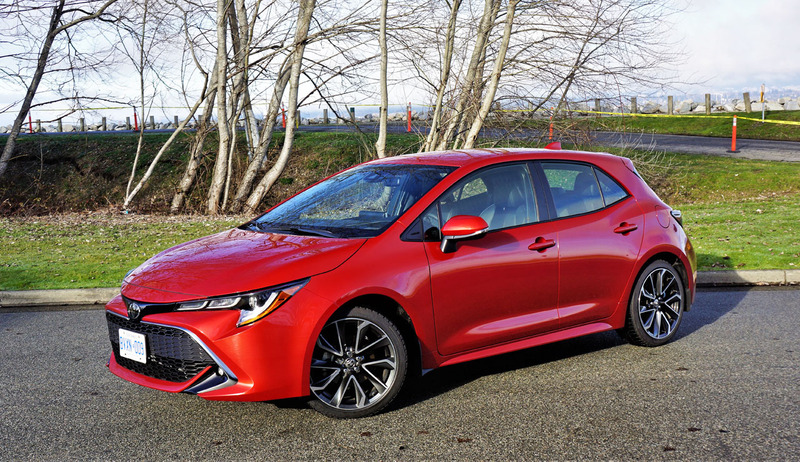 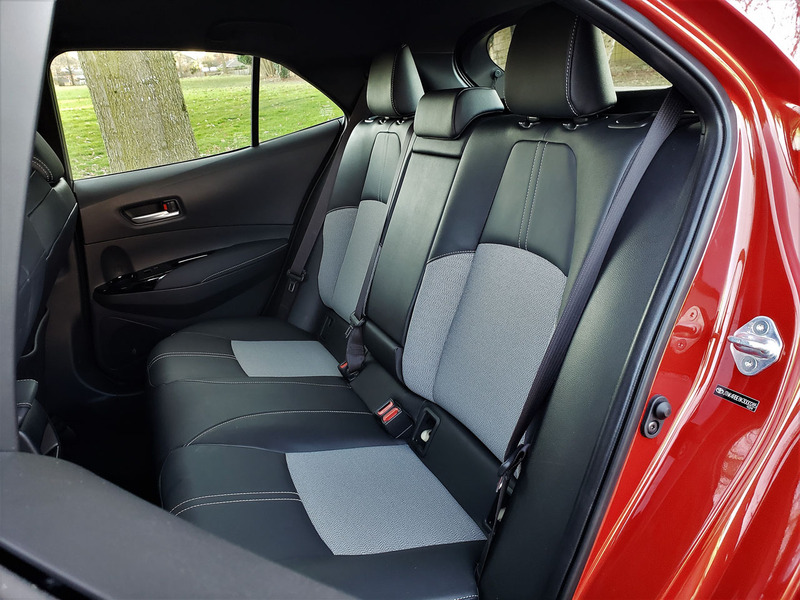 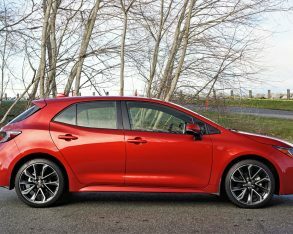 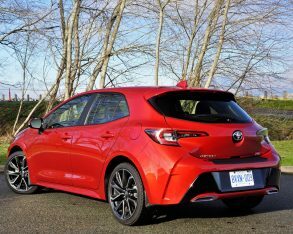 All of this high-end kit doesn’t come cheap, although the 2019 Corolla Hatchback’s $20,980 starting only seems steep when comparing it to the entry-level Corolla sedan’s $16,790. 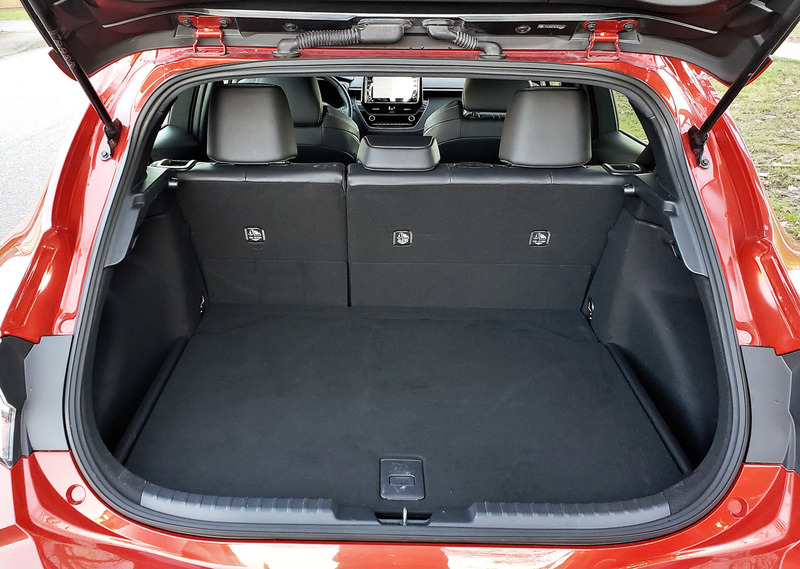 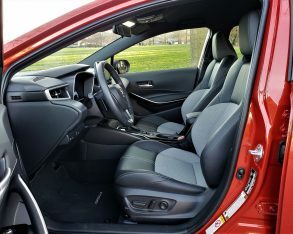 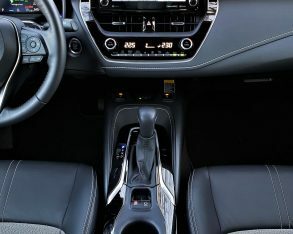 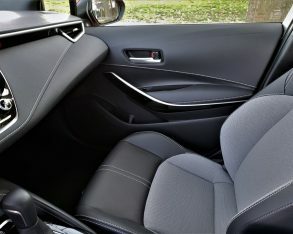 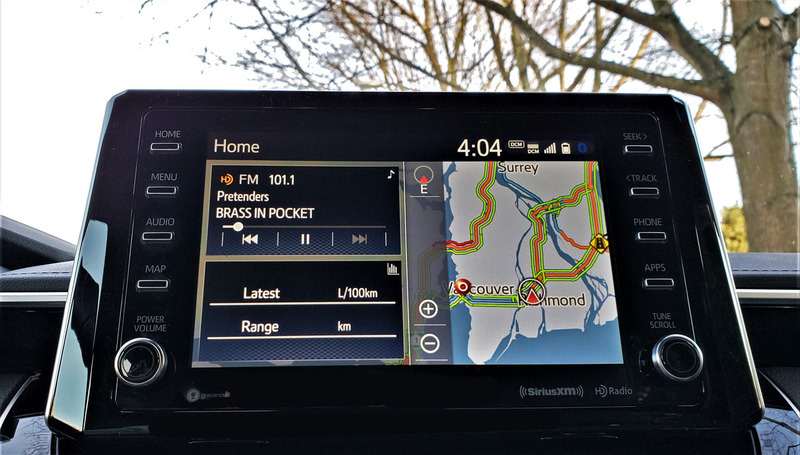 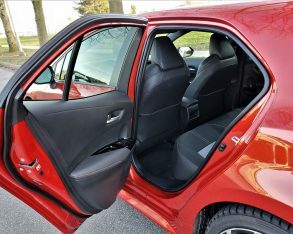 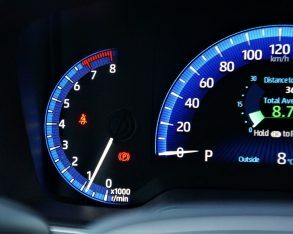 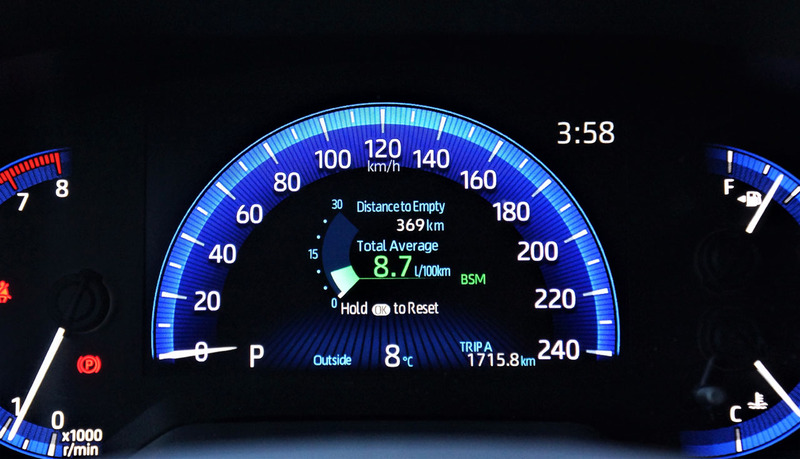 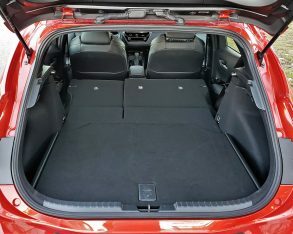 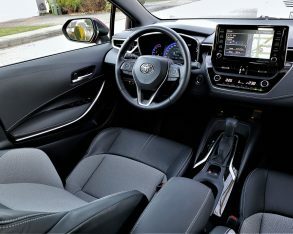 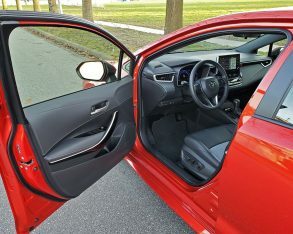 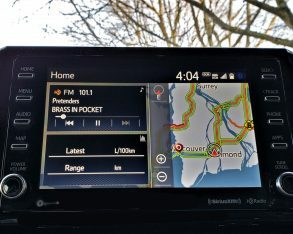 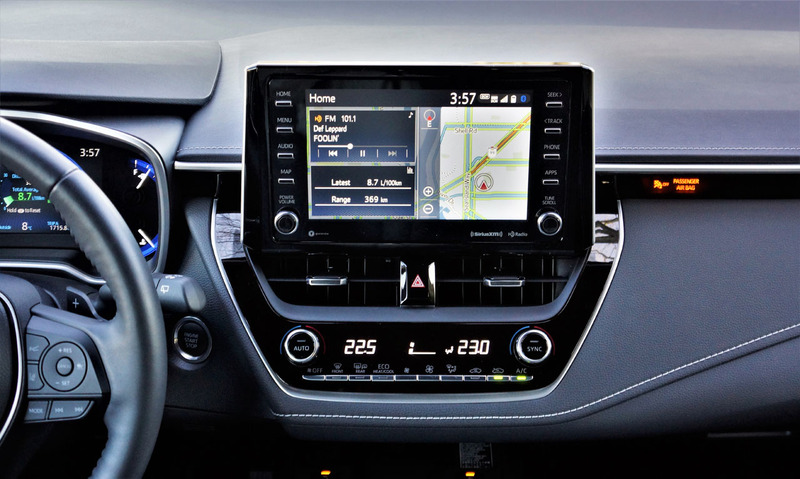 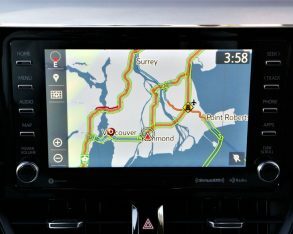 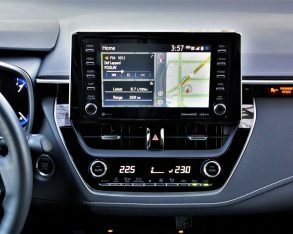 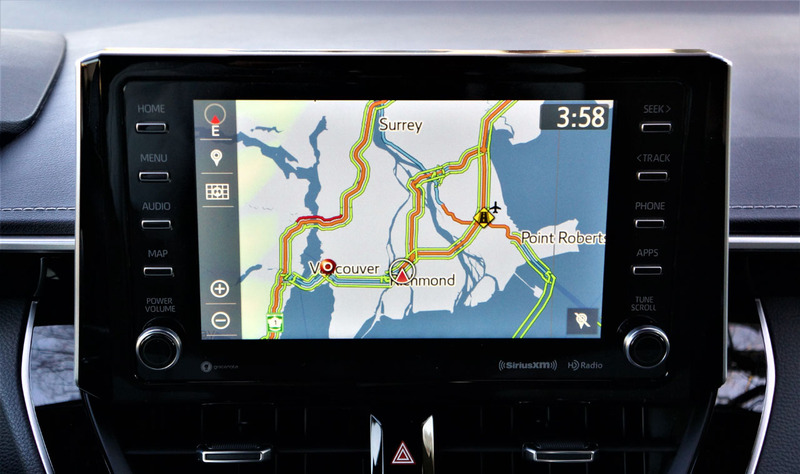 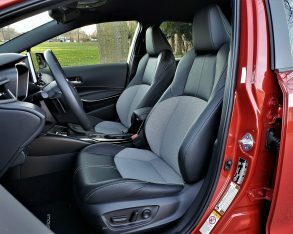 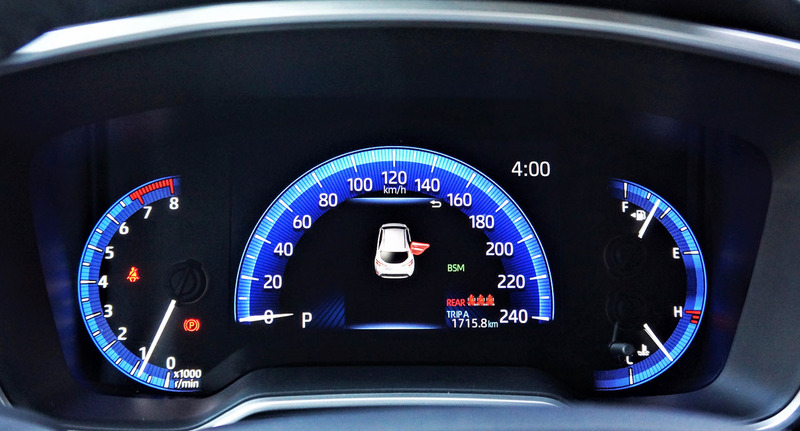 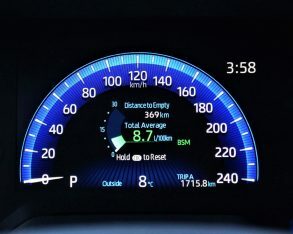 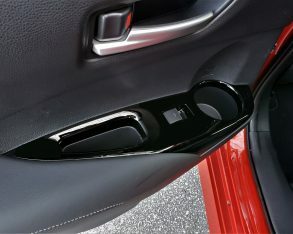 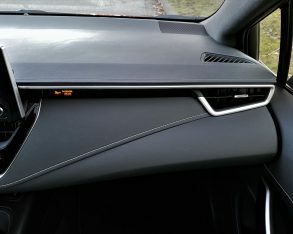 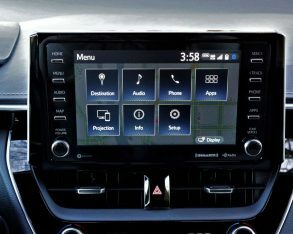 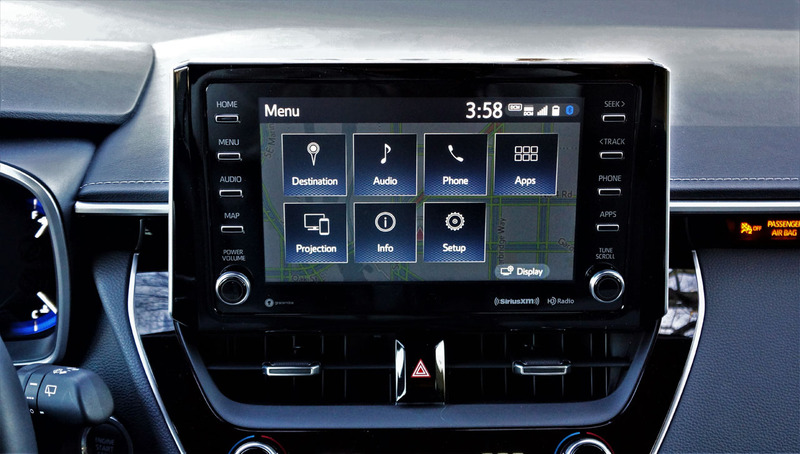 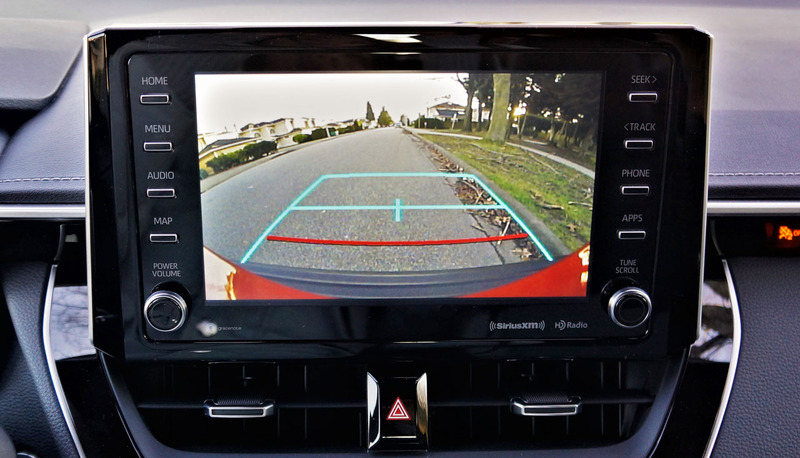 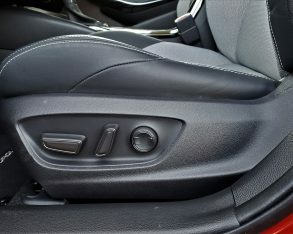 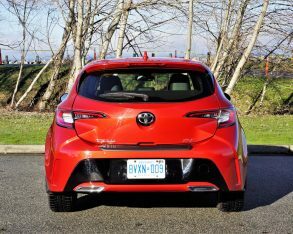 The new Hatchback comes well equipped for just under $21k, including full LED headlamps with automatic high beams, LED taillights, proximity-sensing access, pushbutton ignition, automatic climate control, a 4.2-inch colour TFT multi-information display, an 8.0-inch centre touchscreen with a backup camera, Apple CarPlay smartphone integration, Toyota’s proprietary Entune smartphone integration that also comes with Entune App Suite Connect featuring traffic, weather, sports, stocks, a fuel station locator, Slacker, Yelp, and NPR One, while additional standard kit includes six-speaker audio, power windows with auto up/down all around, all the segment’s usual active and passive safety features plus an airbag for the driver’s knees, pre-collision warning and mitigation with pedestrian and bicycle detection, lane departure alert and road departure warning with steering assist, and adaptive cruise control. 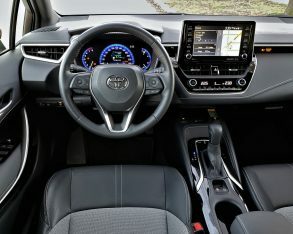 Move up to the CVT for a reasonable $1,000 and the list includes full-speed adaptive cruise control, lane tracing assist, and Scout GPS Link navigation/route guidance added to Entune App Suite Connect, while my tester was also outfitted in top-line XSE trim that substitutes Scout GPS Link with its own embedded navigation and otherwise fills the centre touchscreen with Entune 3.0 Premium Audio that includes traffic and weather info, Entune Destination Assist, Entune Safety Connect featuring automatic collision notification, a stolen vehicle locator, an emergency assistance (SOS) button, and enhanced roadside assistance, and otherwise updates infotainment with satellite radio and wireless charging. 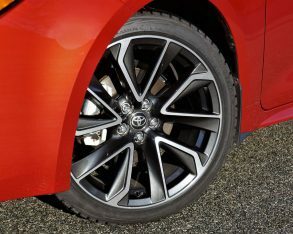 What’s more, the base model’s 15-inch steel wheels get replaced by a sweet looking set of machine-finished 18-inch rims on grippy 225/40 all-seasons, while LED fog lamps enhance the front fascia, chrome gets added to the rear bumper, and the interior gets updated with an eight-way powered driver’s seat with two-way powered lumbar, front seat heaters, special Sport fabric upholstery with leatherette trim, a heatable leather-wrapped steering wheel (with paddle shifters when upgraded to the CVT), a 7.0-inch digital driver’s display, dual-zone automatic climate control, blind spot monitoring, and an anti-theft system, all for $26,980 with the manual or $27,980 with the CVT. 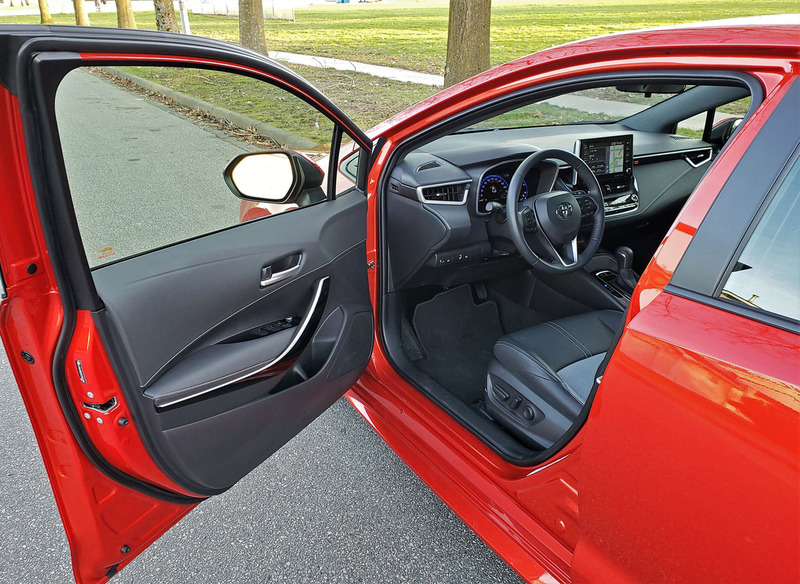 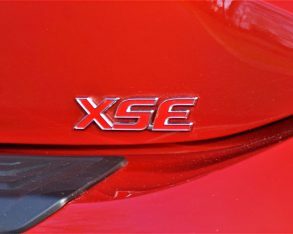 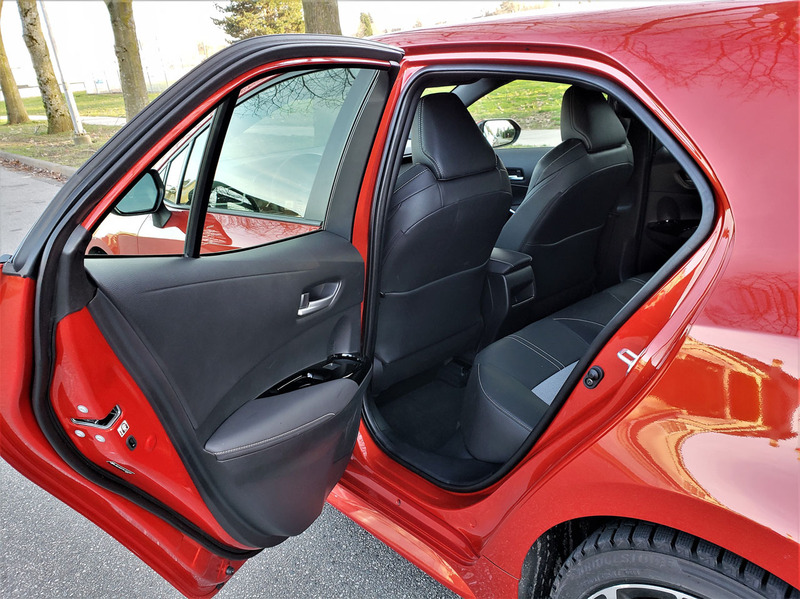 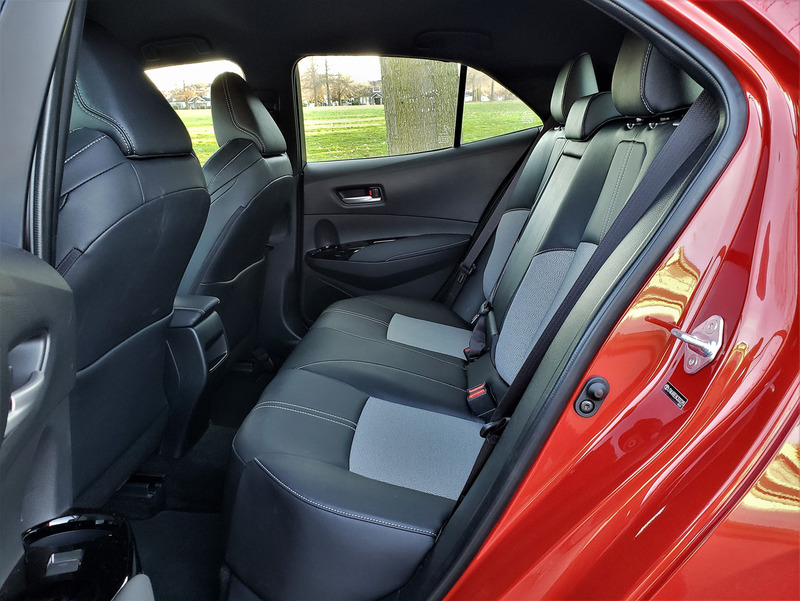 Notably, some of that kit gets pulled up from lesser SE and SE Upgrade trims, which are available for $22,580 and $23,980 respectively, but that’s it with respect to factory options except for $225 Blizzard Pearl paint that’s only offered in top-line XSE trim. 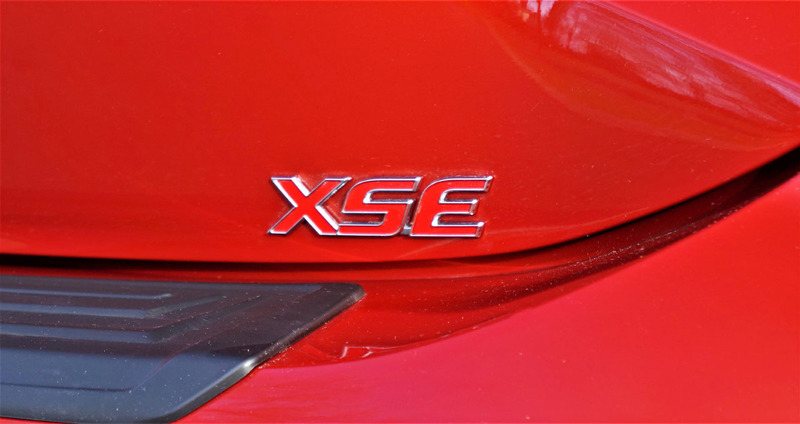 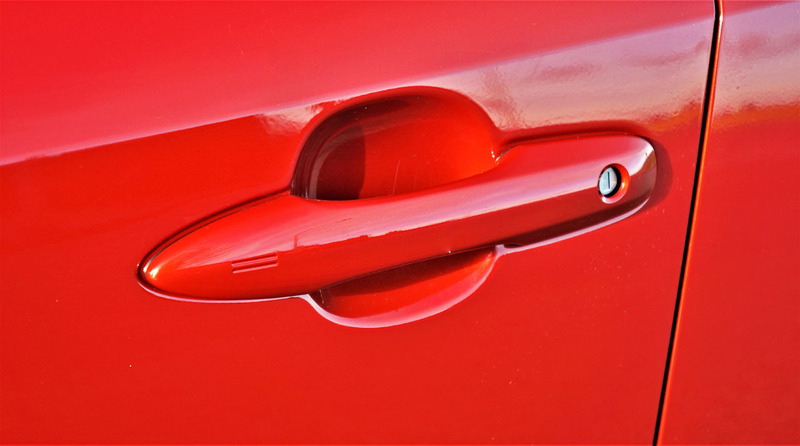 This means my tester’s Smoked Paprika Metallic is one of six available no-cost standard colours in XSE guise, the seventh a shade dubbed Super White that’s only offered in base and SE trims. 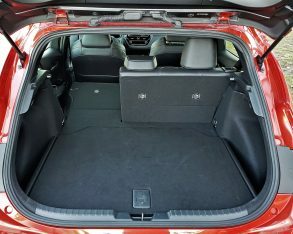 Some dealer added accessories worth noting include a dash camera for $650, which really should be on everyone’s must-have list, a $155 cargo liner, an $80 cargo net, and $250 worth of door sill plates, while the exterior can be dressed up with a seriously sporty extended rear rooftop spoiler for $535. 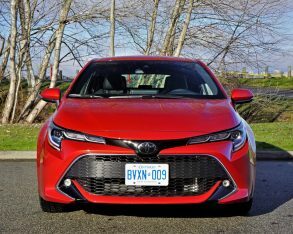 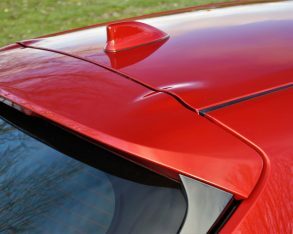 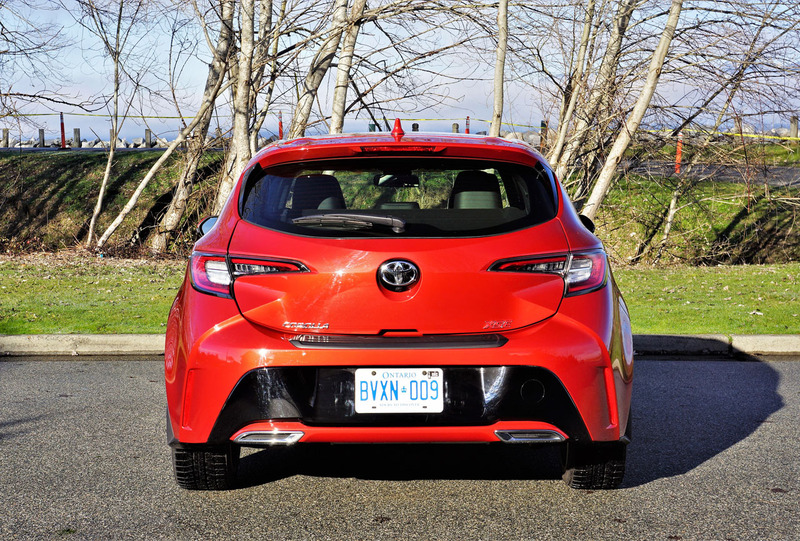 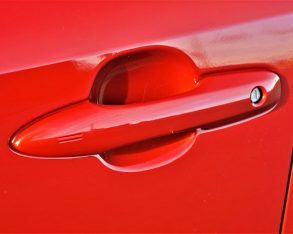 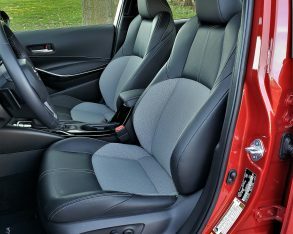 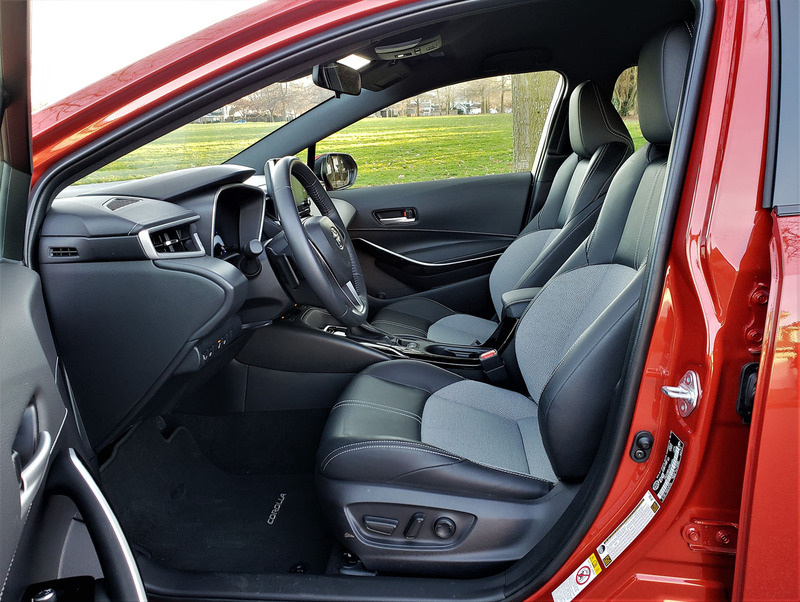 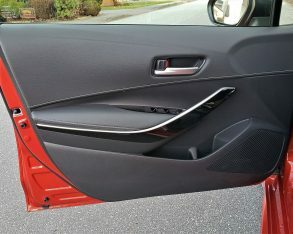 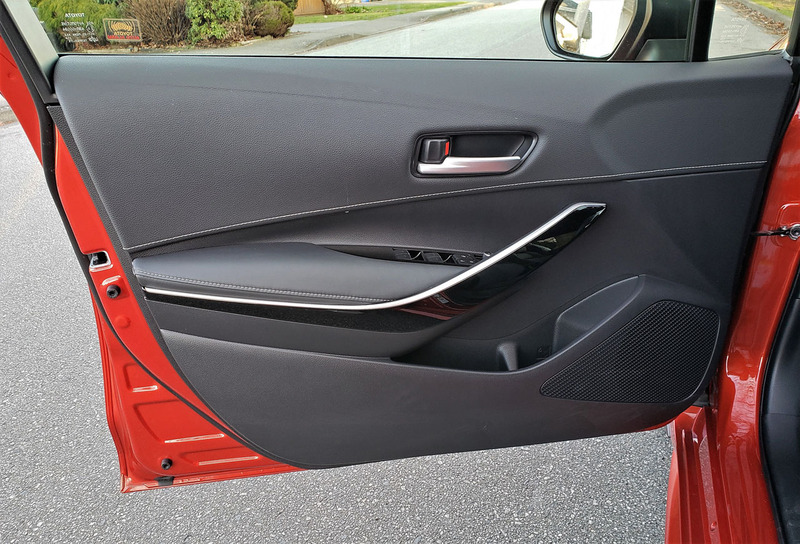 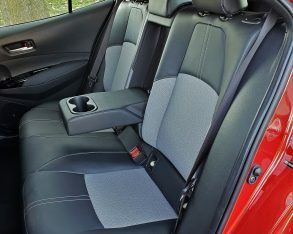 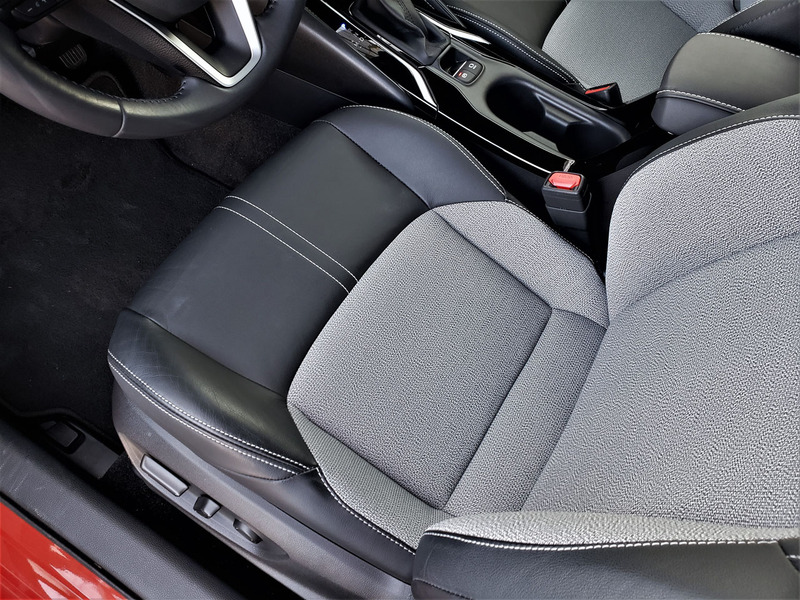 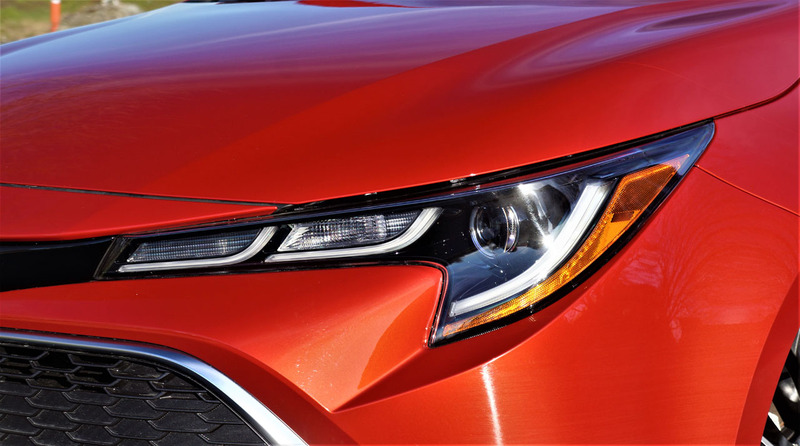 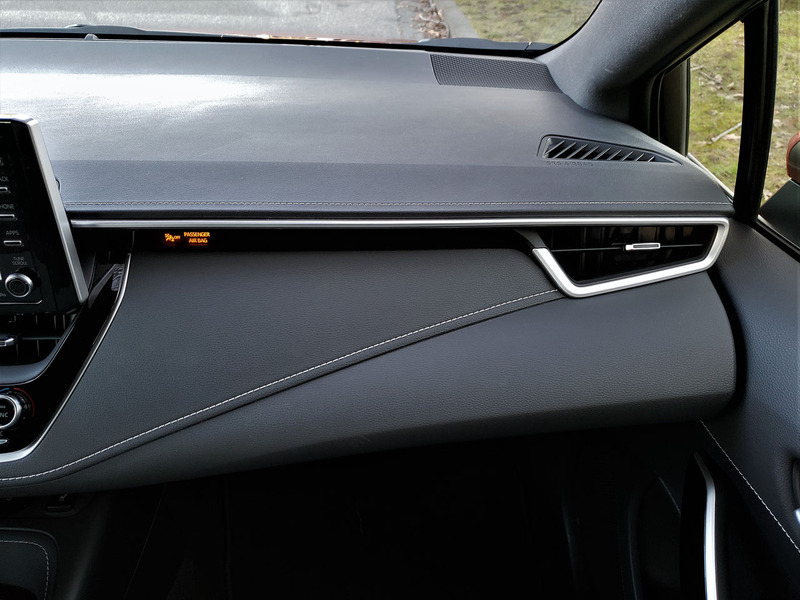 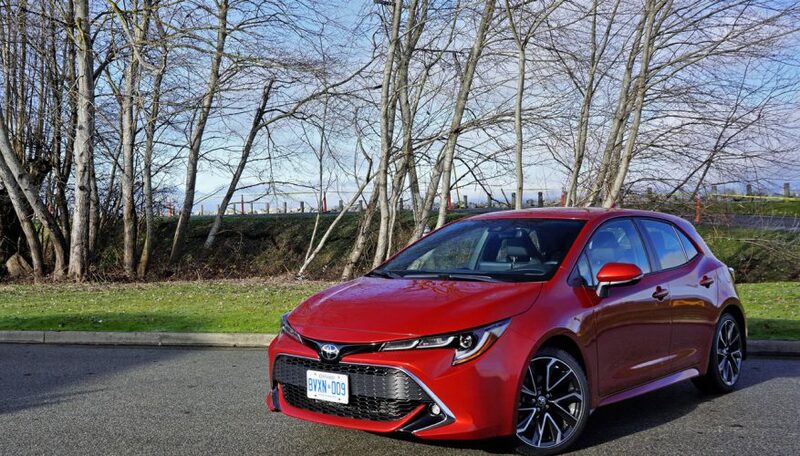 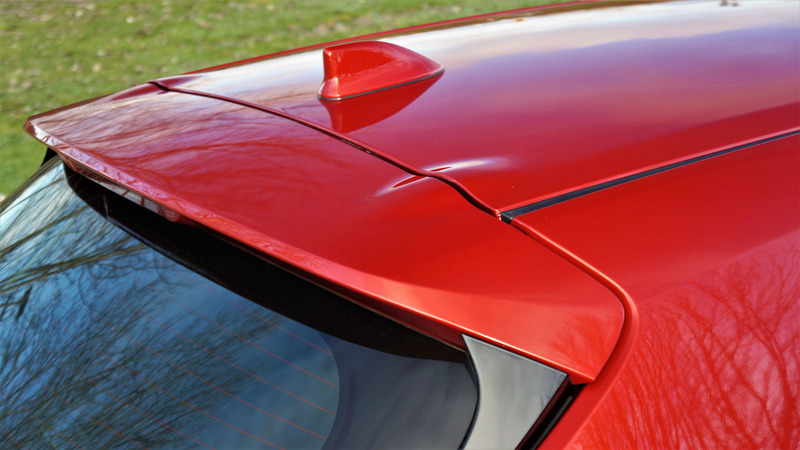 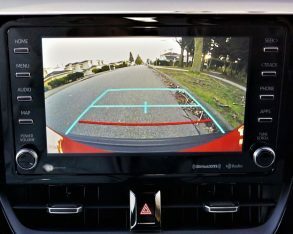 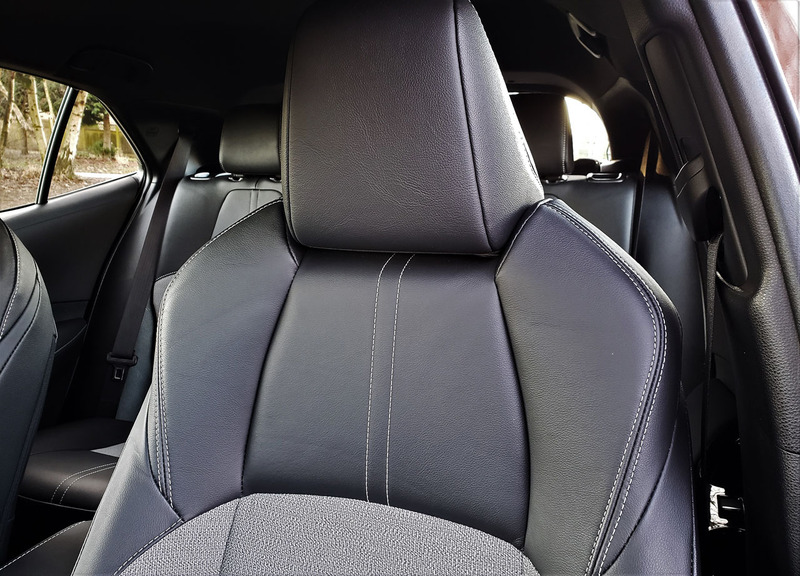 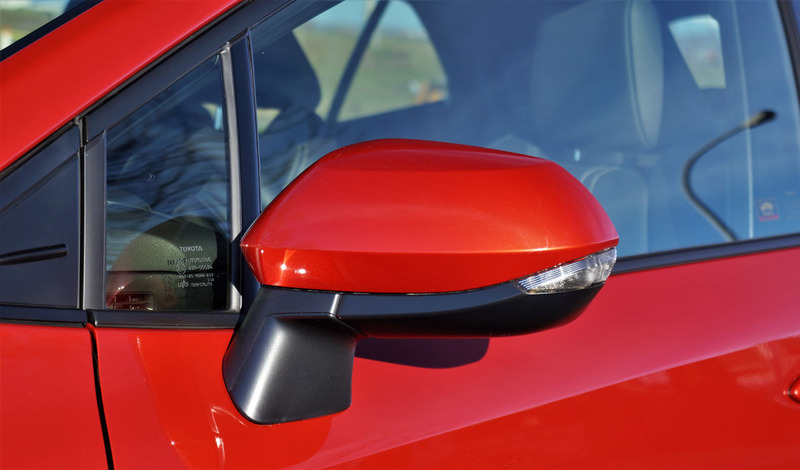 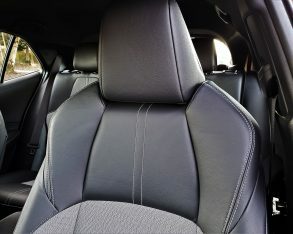 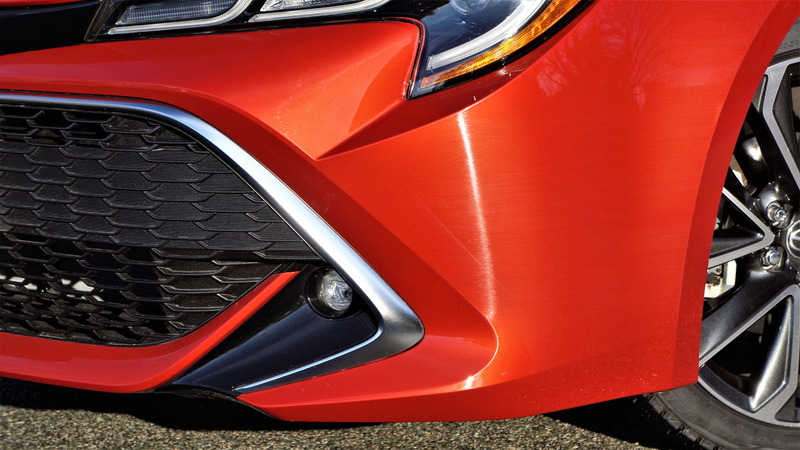 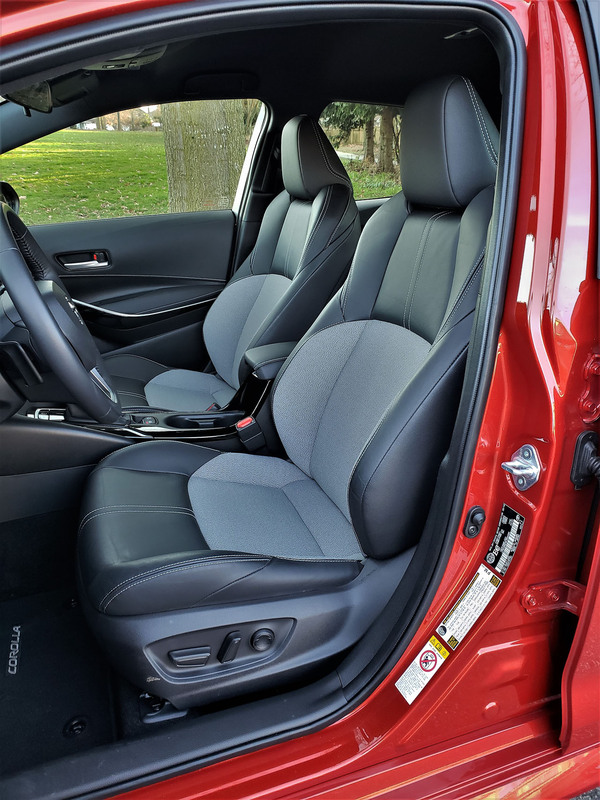 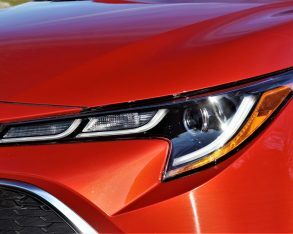 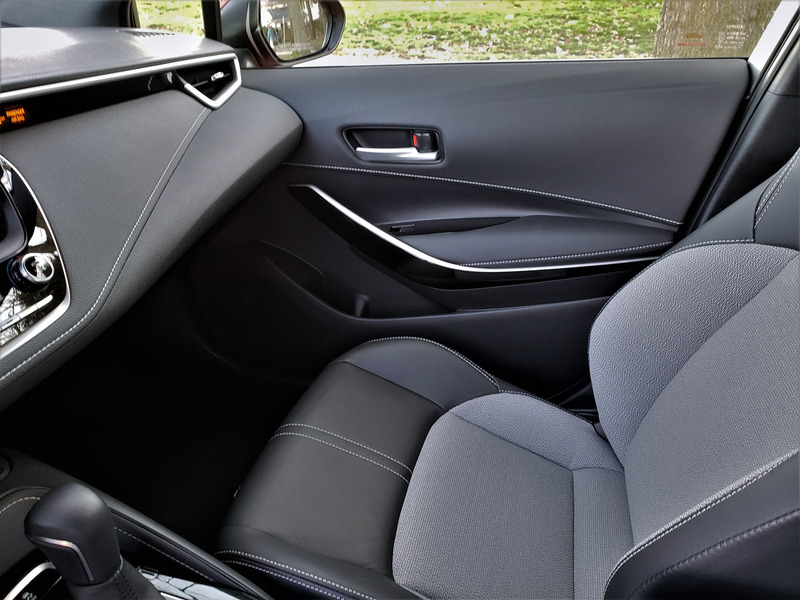 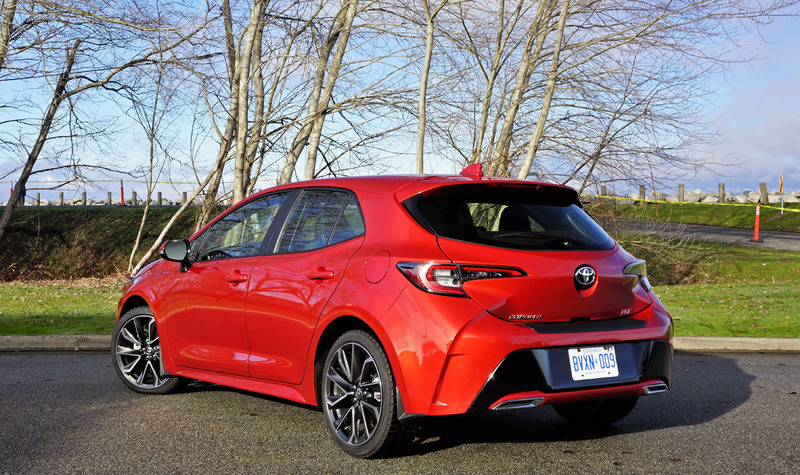 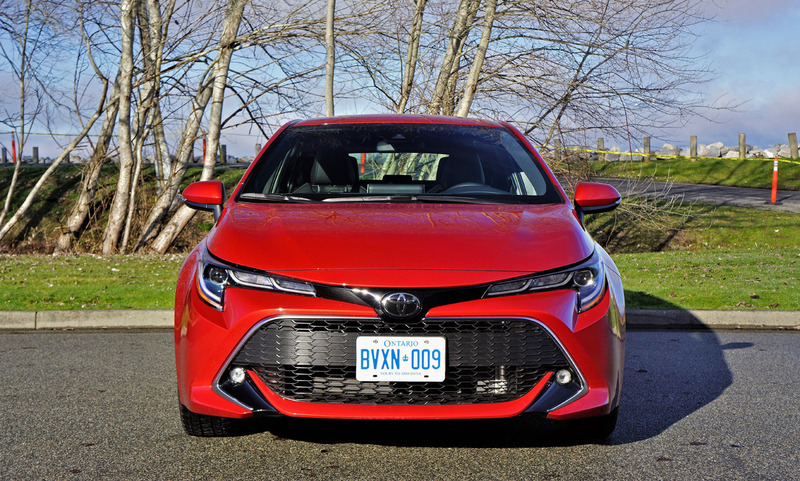 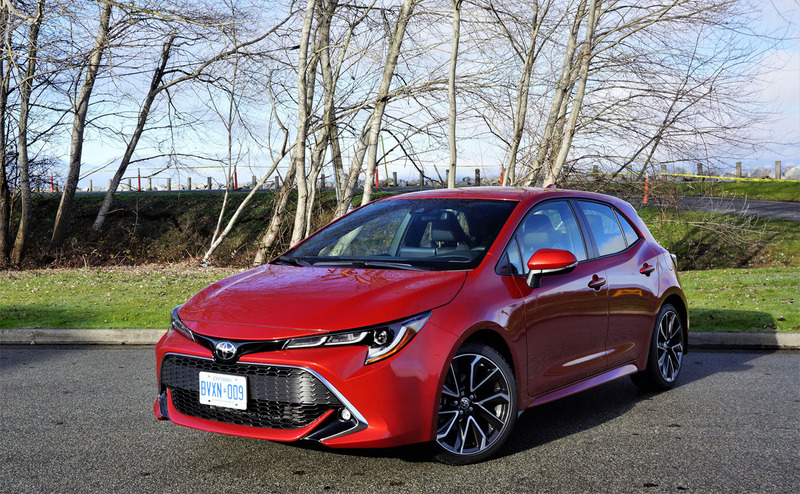 By the way, all of the 2019 Corolla Hatchback’s pricing information can be found at CarCostCanada, including trims, packages, and standalone options, plus you can also find out about any available rebates, as well as dealer invoice pricing that could help you save thousands when negotiating the purchase of your new car. 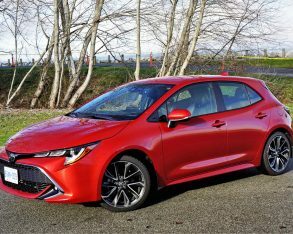 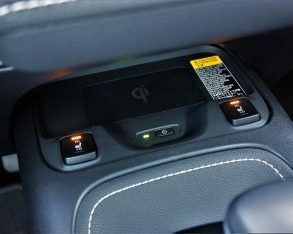 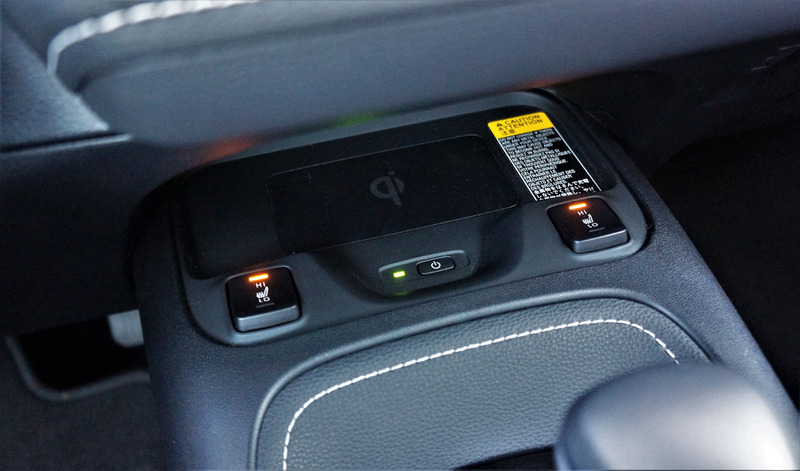 The new Corolla Hatchback, which gets the more exciting Corolla Sport nameplate in Japan, rolls on the compact GA-C version of the Toyota New Global Architecture (TNGA) modular unibody platform that also underpins current versions of the Corolla sedan and Touring Sports (the latter wagon sadly only available in other markets), Prius/Prius Plug-in/Prime, C-HR compact crossover, and upcoming Lexus UX compact luxury crossover, making it one of the more ubiquitous platforms in existence. 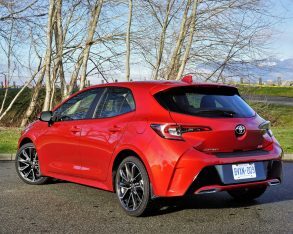 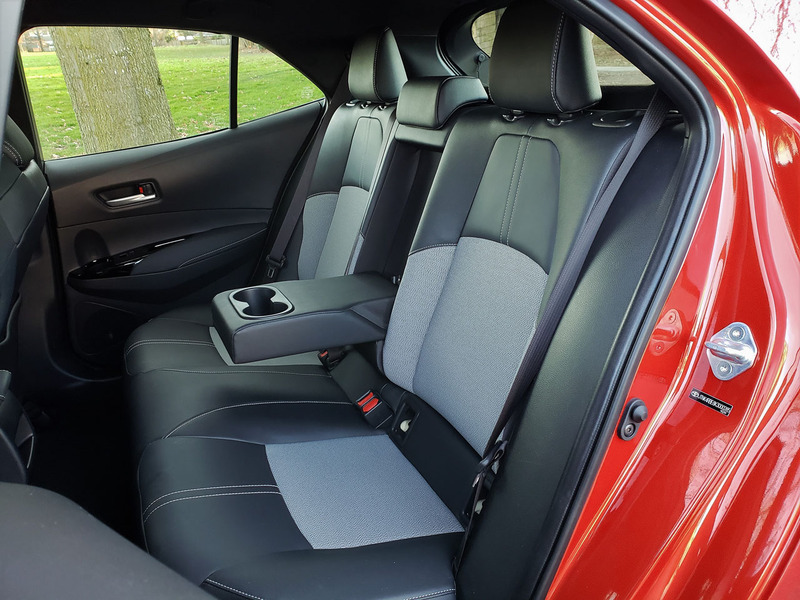 I know that most readers will be unfamiliar with the outgoing Corolla iM, but for the interest of the few that are this new Corolla Hatchback measures a full 100 millimetres (3.9 inches) longer than its predecessor at 4,375 mm (172.2 in), while its wheelbase spans 40 mm (1.6 in) farther between the axles at 2,640 mm (103.9 in). 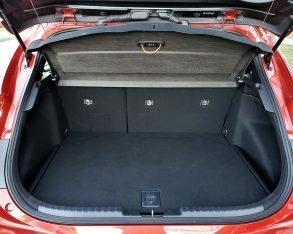 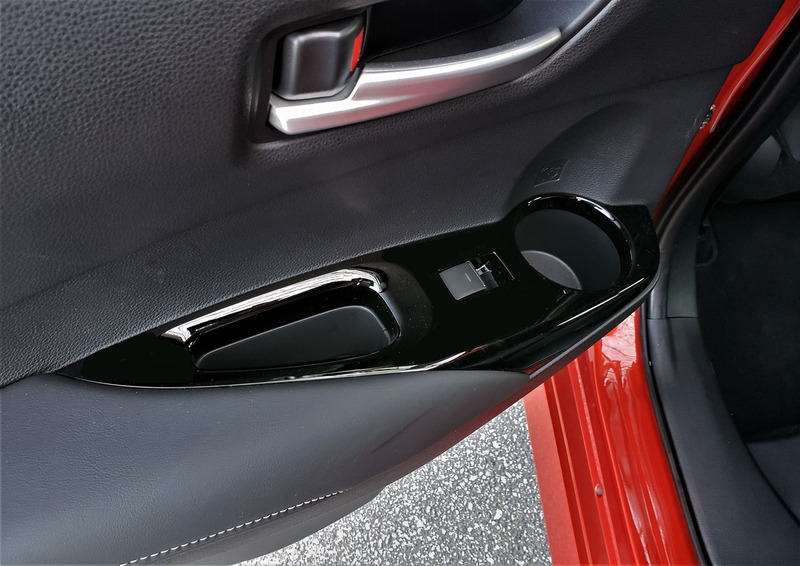 The new model has also grown from side-to-side, expanded by 30 mm (1.2 in) to 1,790 mm (70.5 in), while its overall height has decreased by 25 mm (1.0 in) to 1,435 mm (56.5 in). 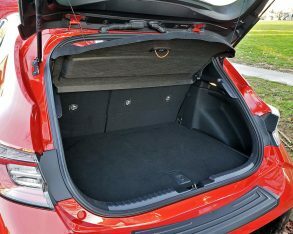 What about mass? 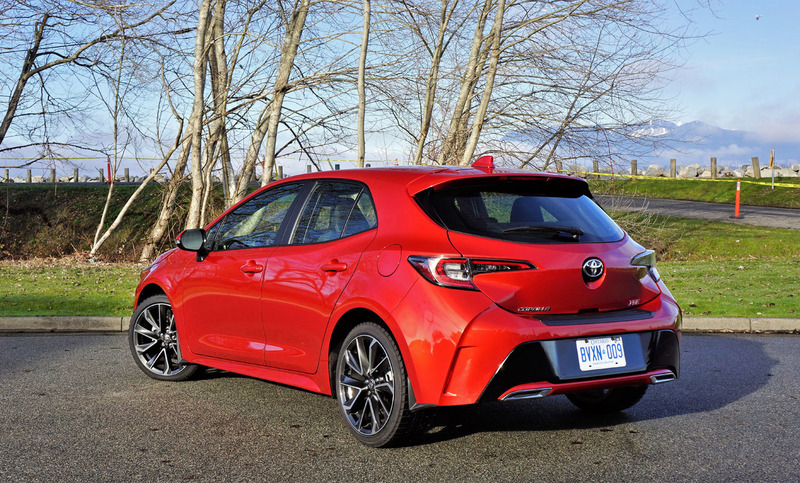 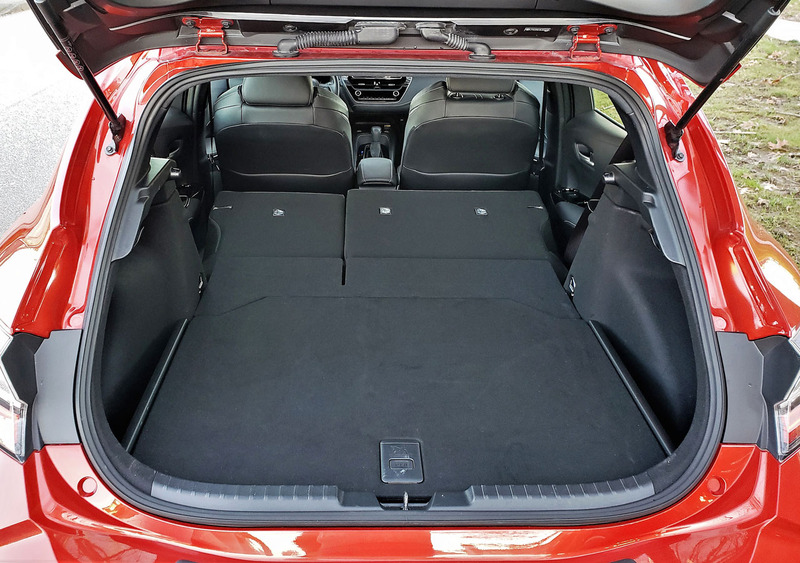 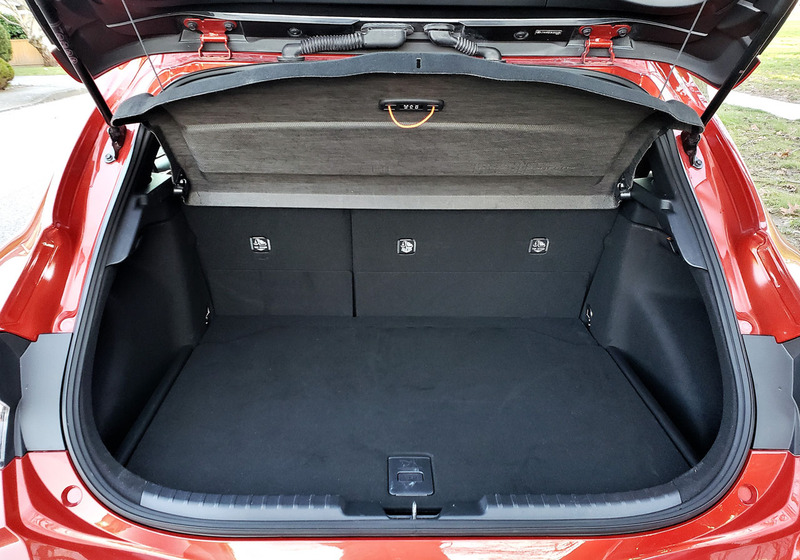 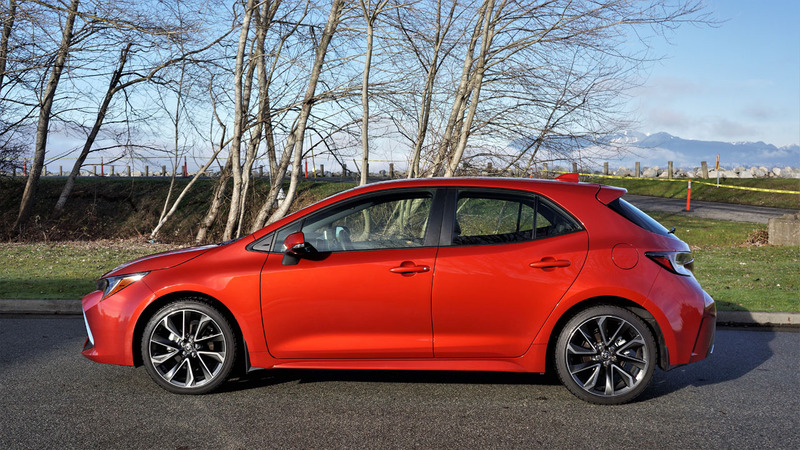 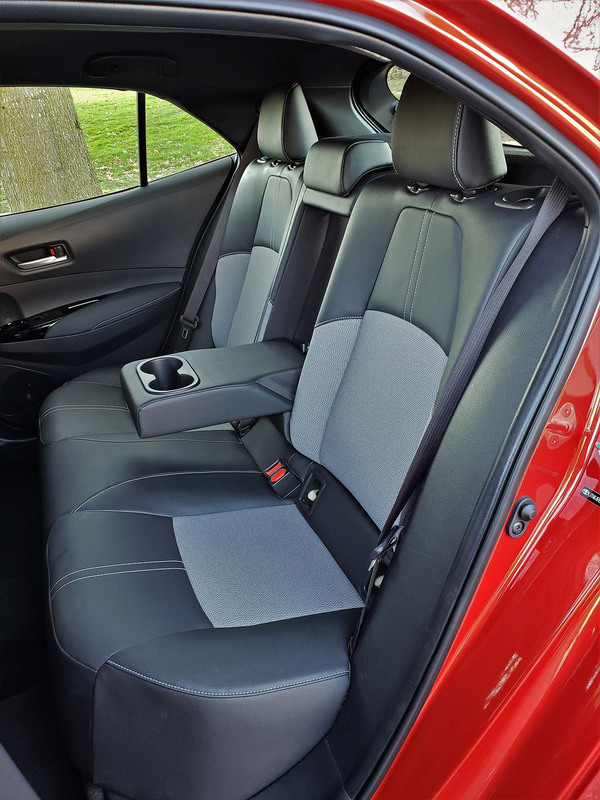 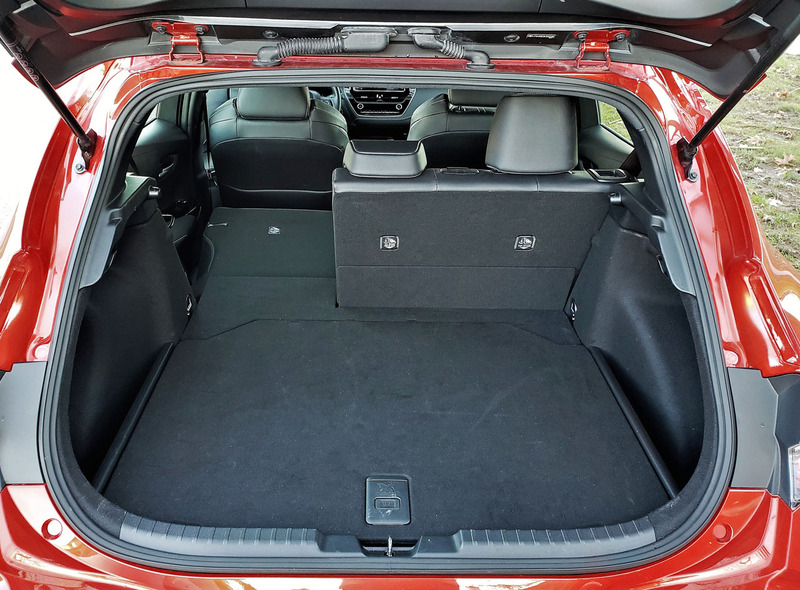 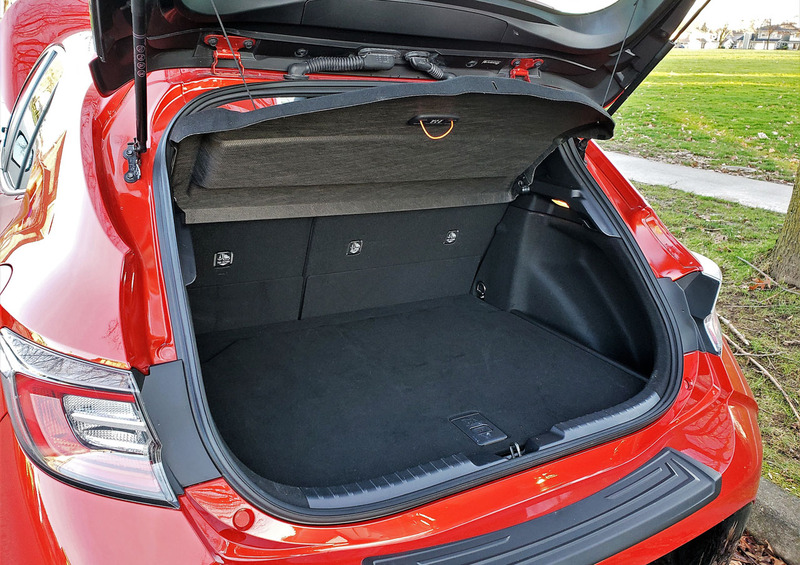 The Corolla Hatchback’s curb weight is actually up by a substantive 118 kilograms (260 lbs) to 1,388 kg (3,060 lbs), but this extra girth is more than offset by the aforementioned engine’s increase of 31 horsepower and 25 lb-ft of torque, at least on paper.